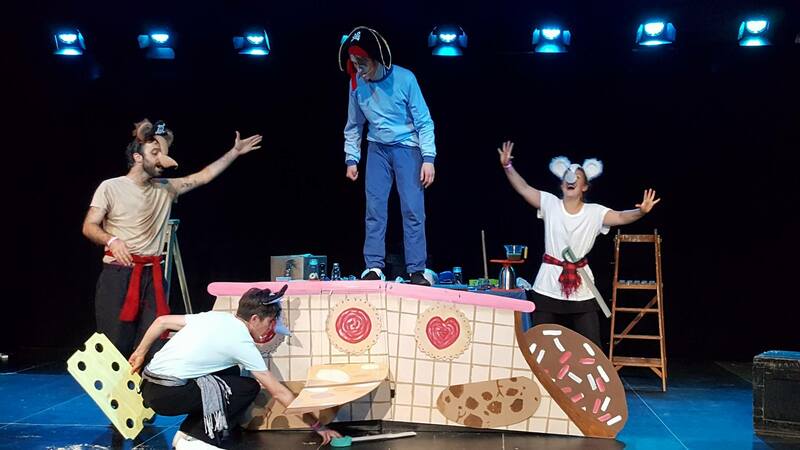 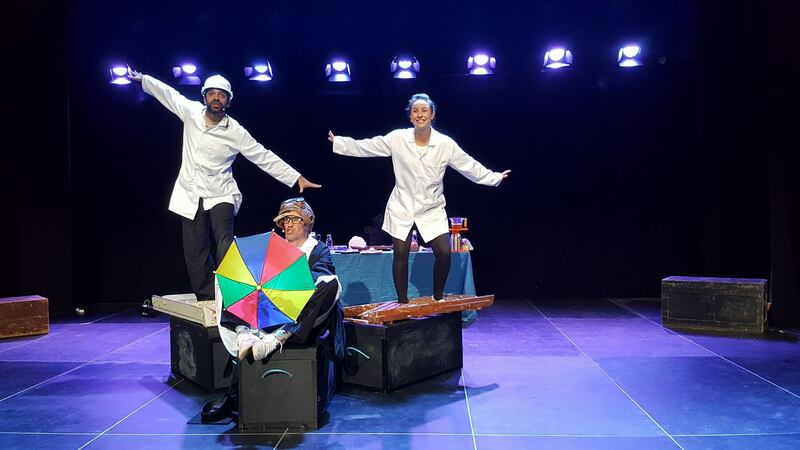 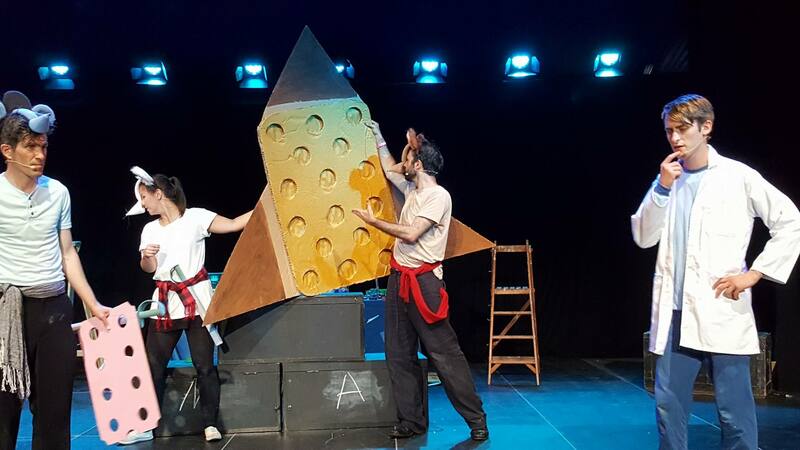 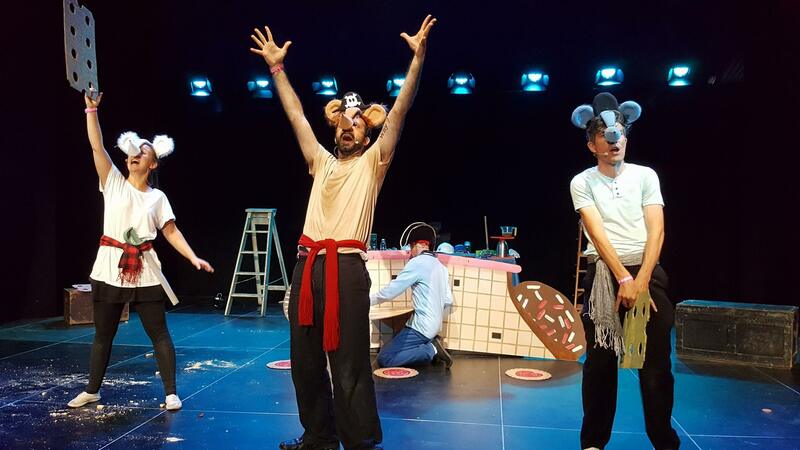 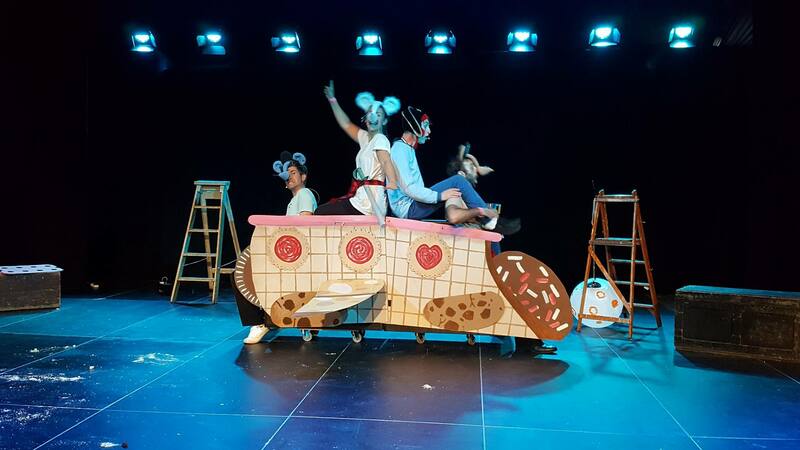 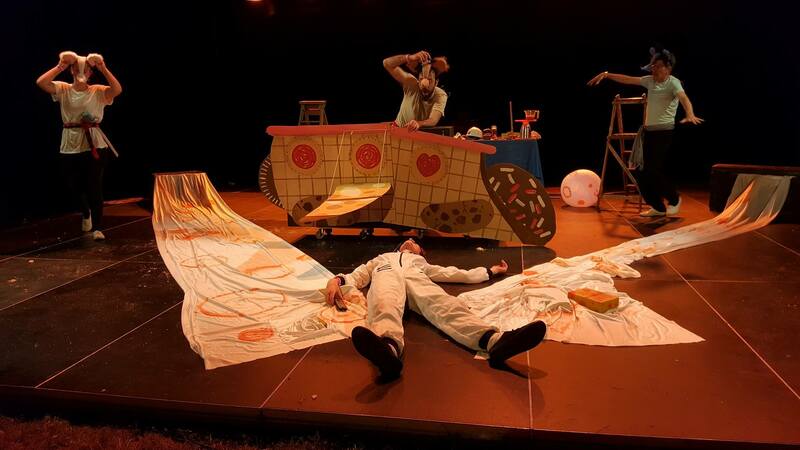 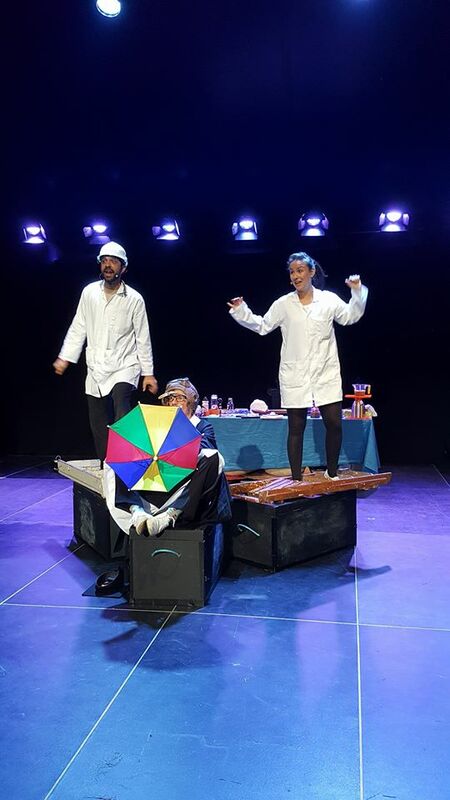 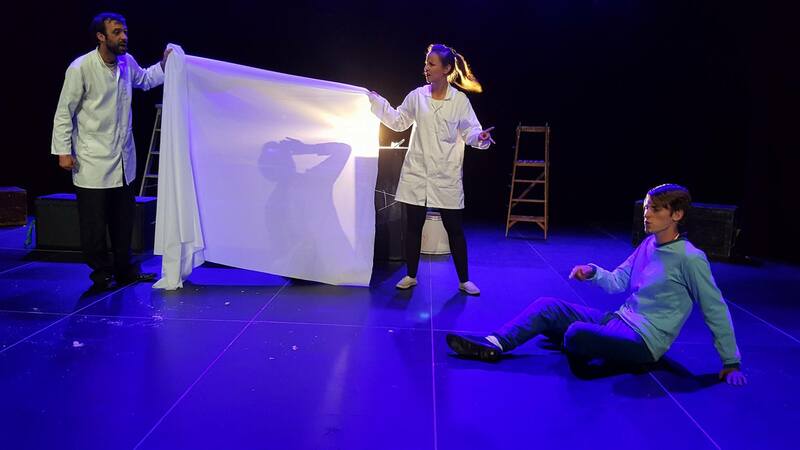 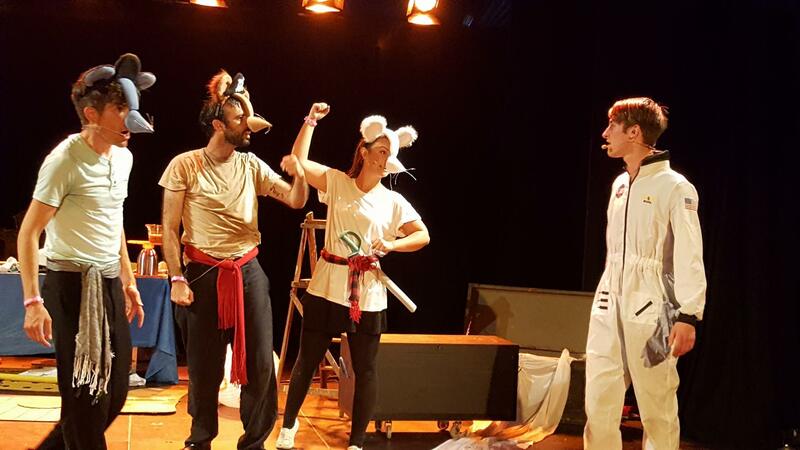 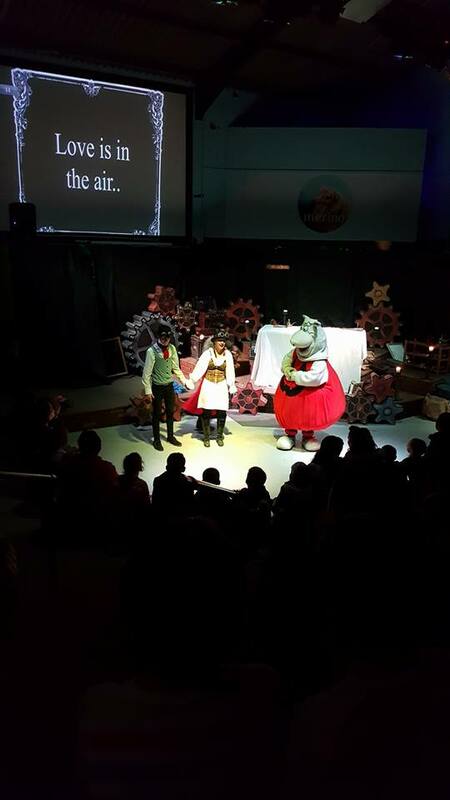 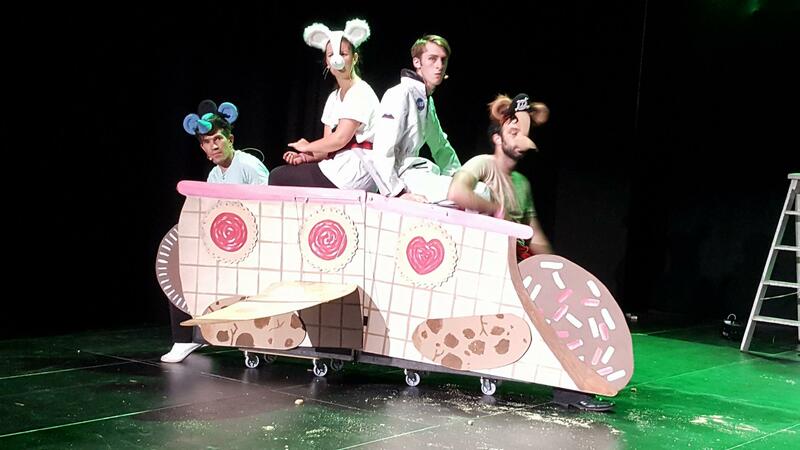 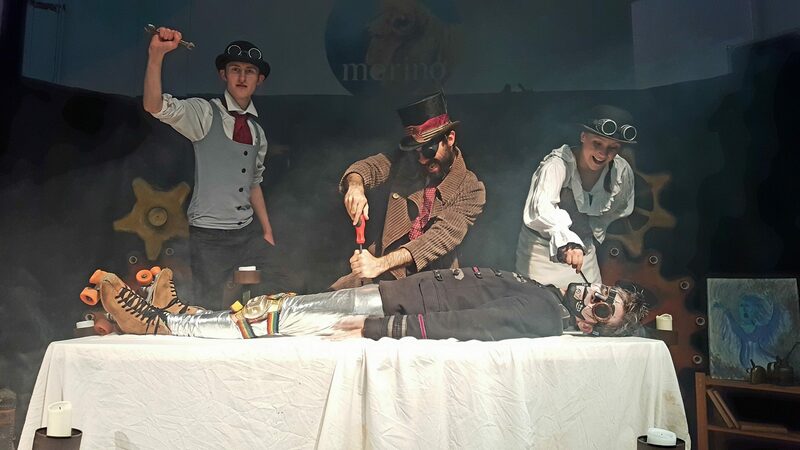 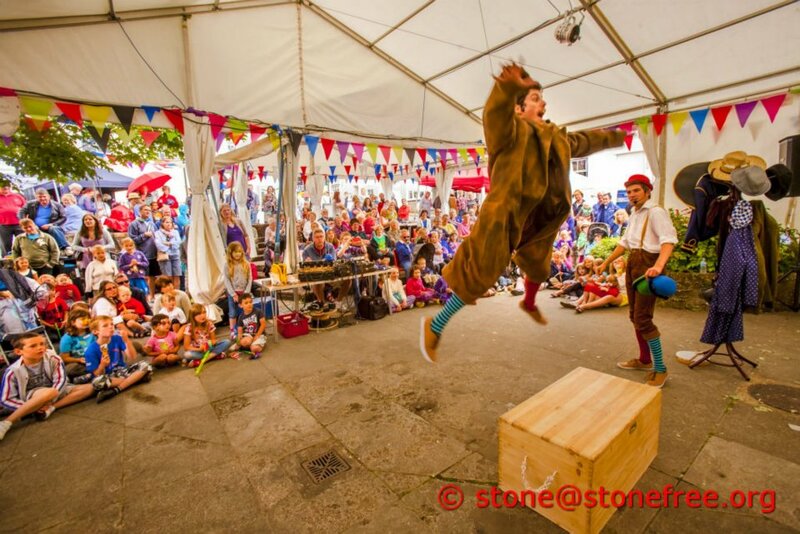 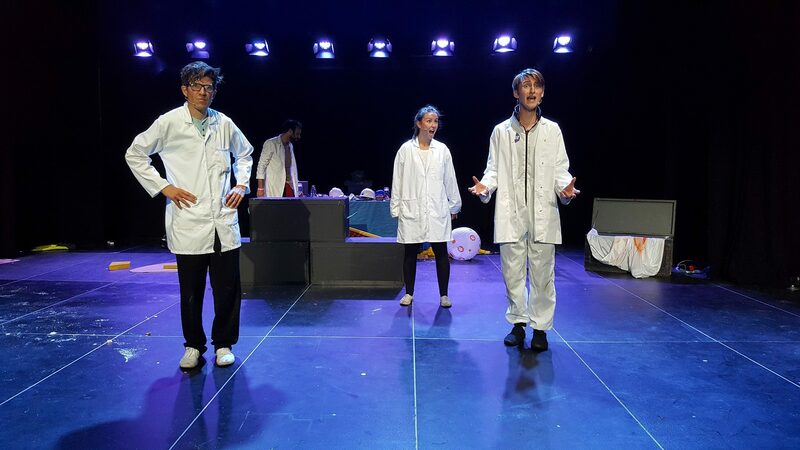 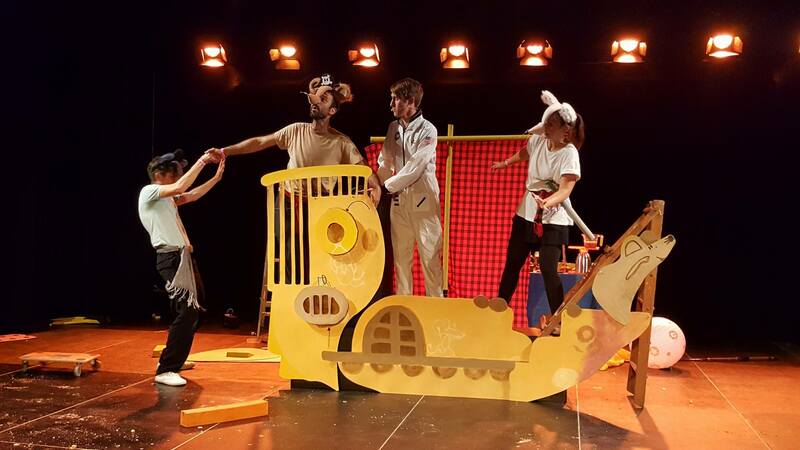 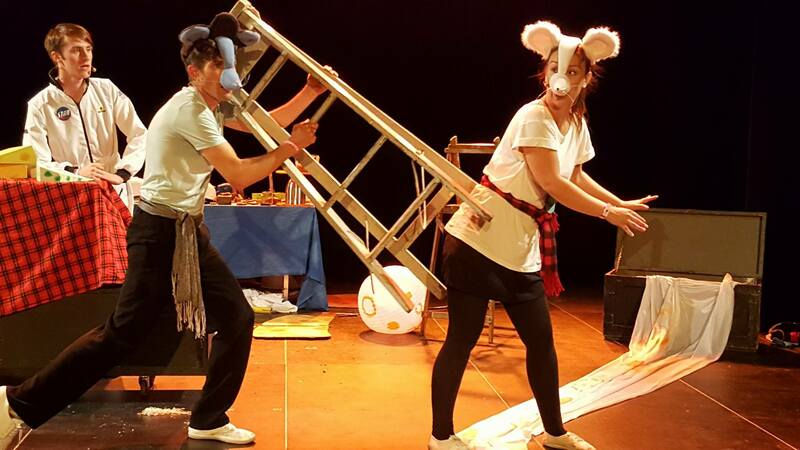 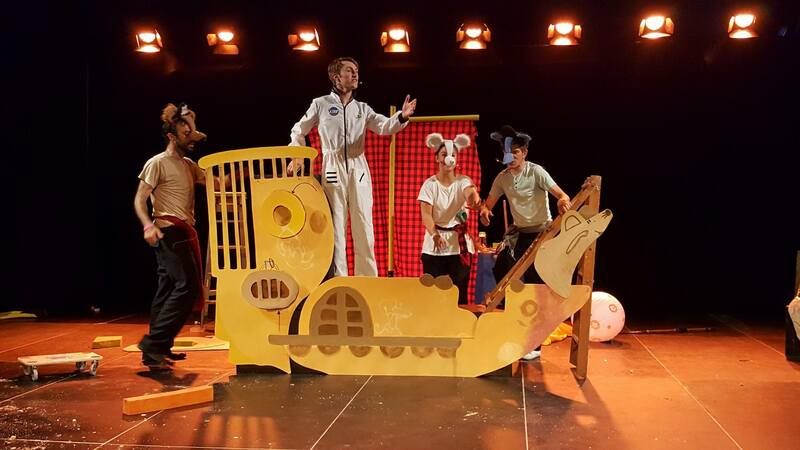 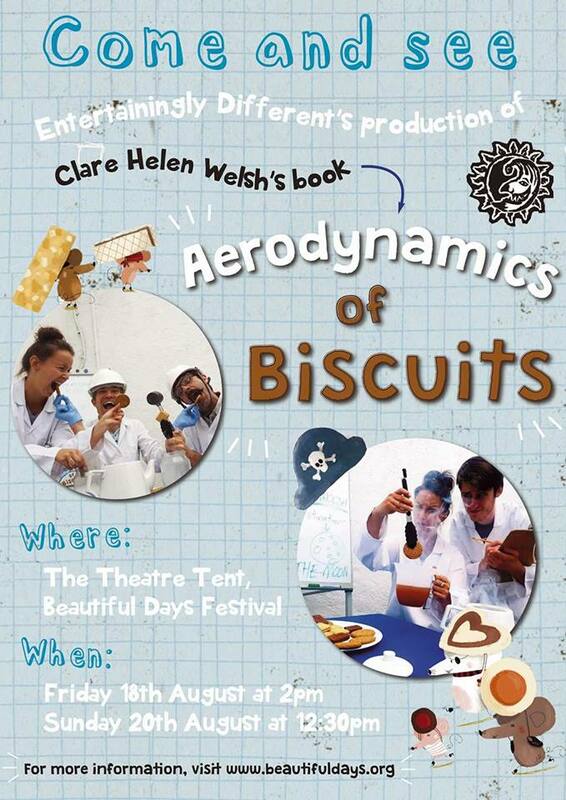 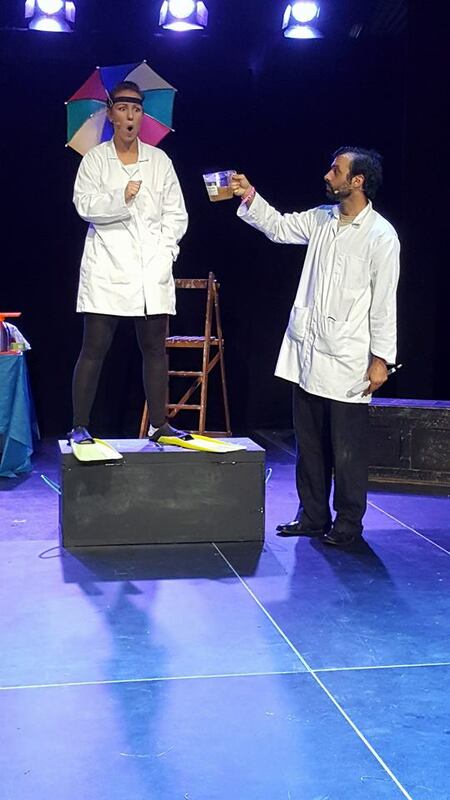 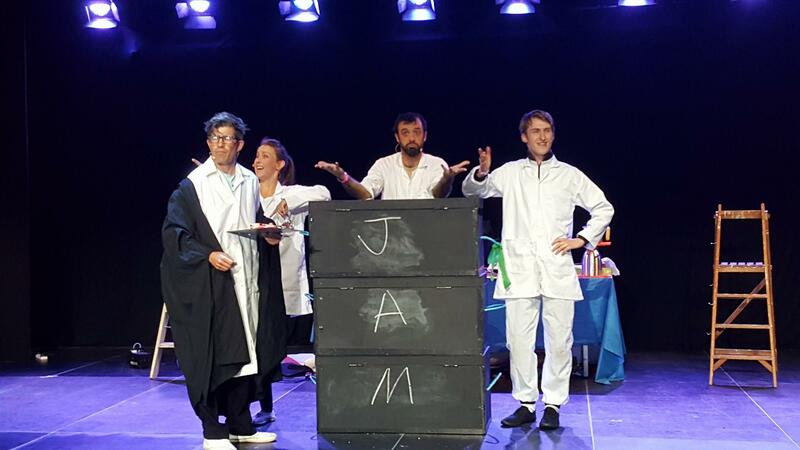 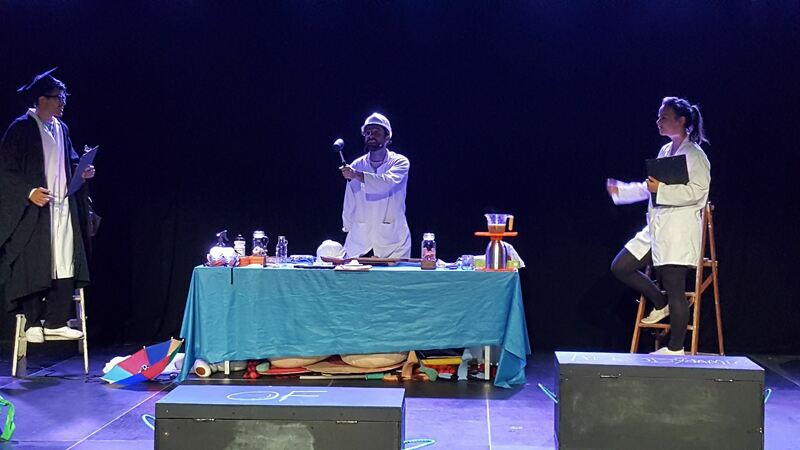 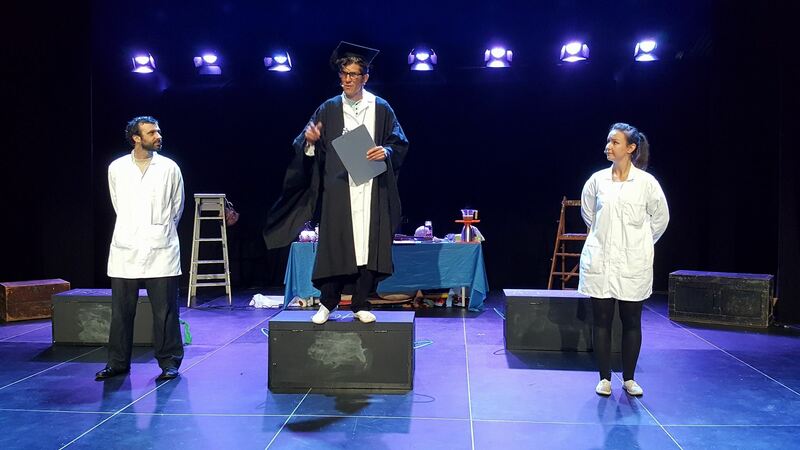 ‘Aerodynamics of Biscuits’ – an Entertainingly Different adaptation of the fabulous picture book by Clare Helen Welsh – had its premiere performances at this year’s Beautiful Days Festival. 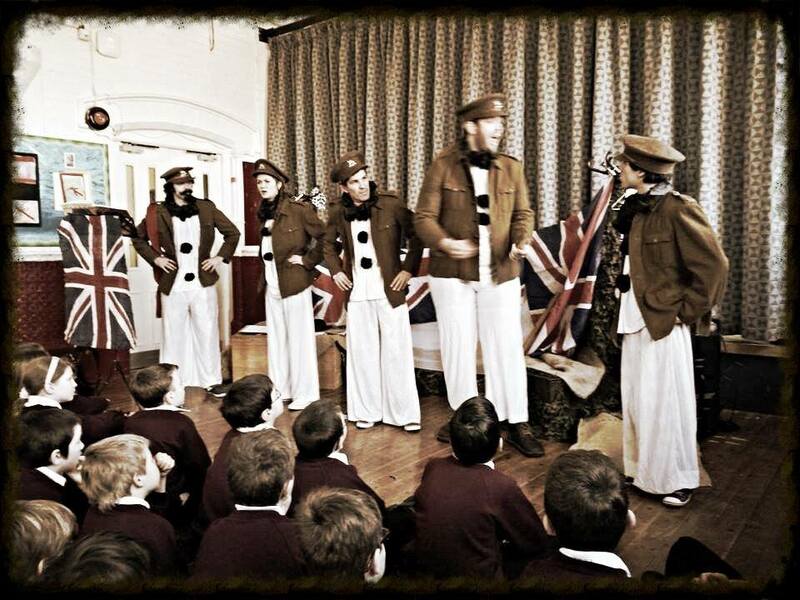 We’re now taking bookings for a tour of Westcountry schools from mid November and then hopefully theatres/art centres from Spring 2018. 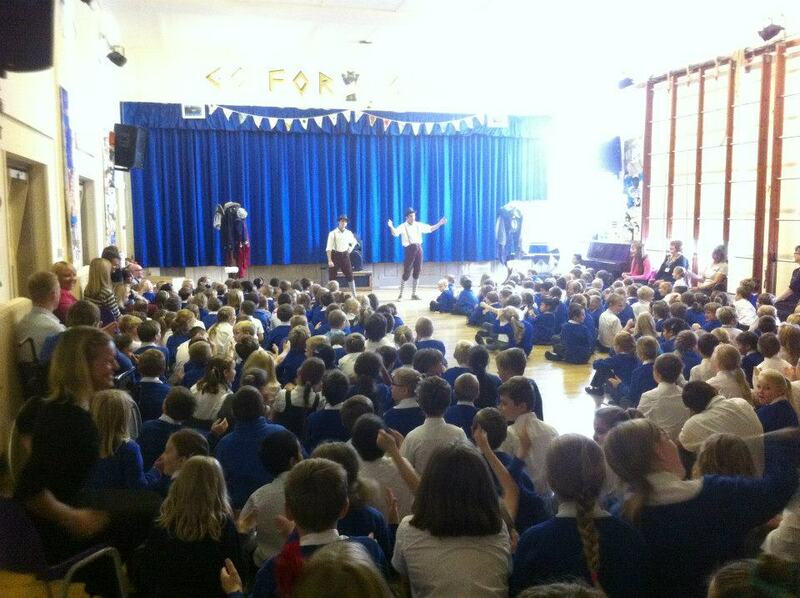 If you are interested infinding out more and booking a performance, we would love to hear from you. 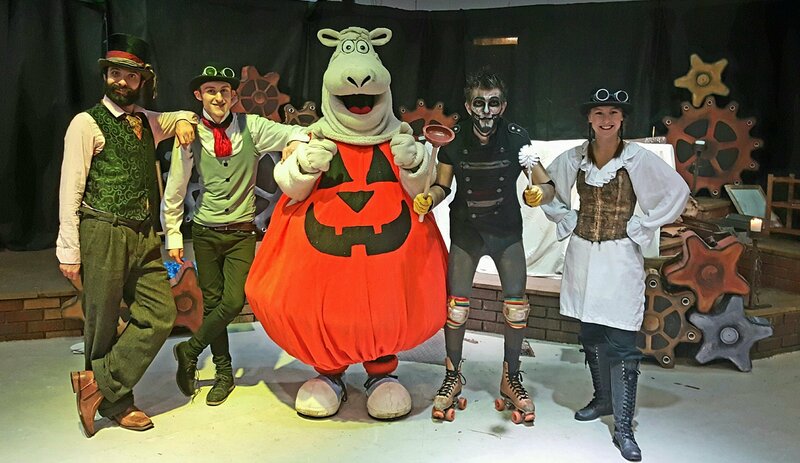 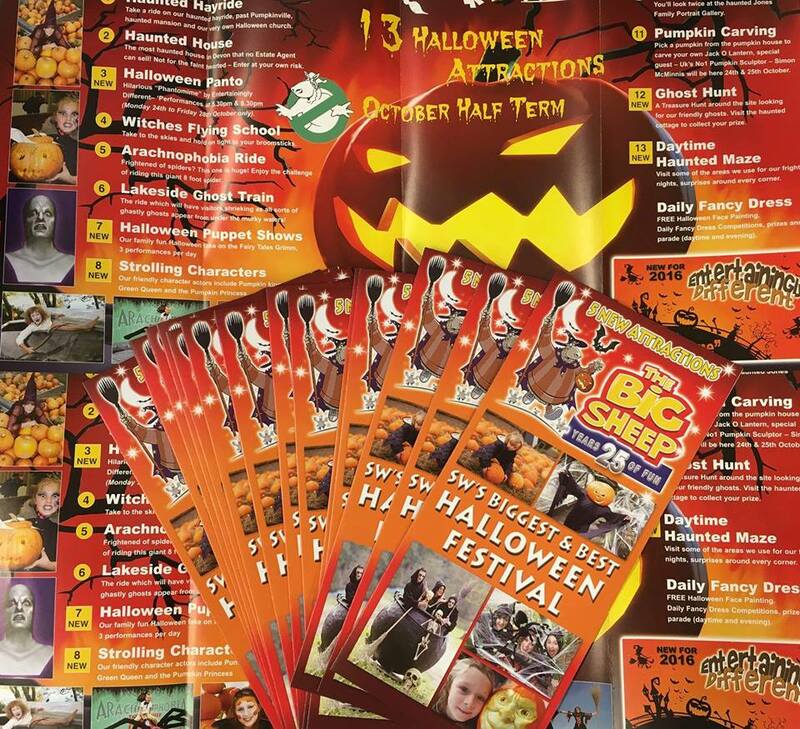 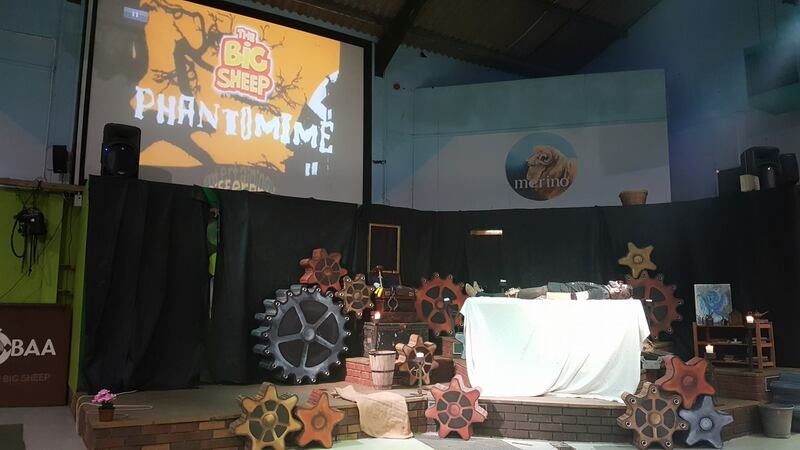 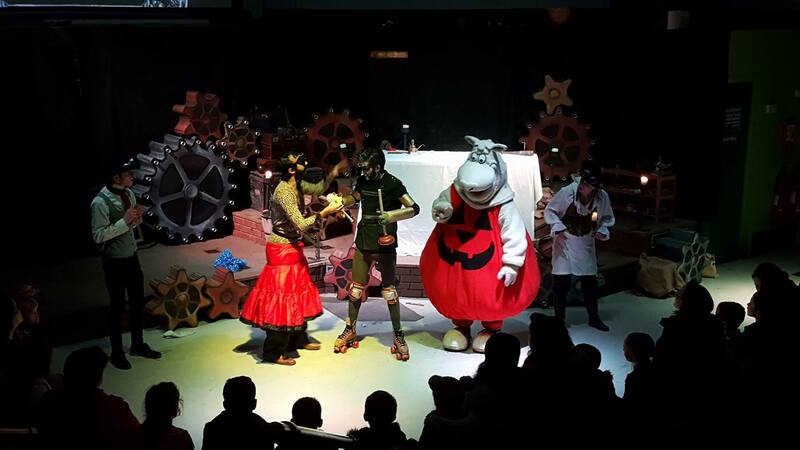 In October 2016, we produced a specially commissioned steam punk Hallowe’en pantomime for The Big Sheep in Bideford. 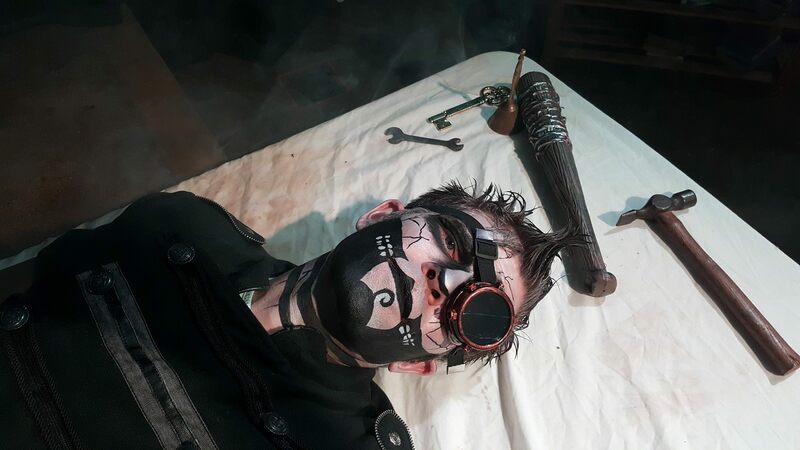 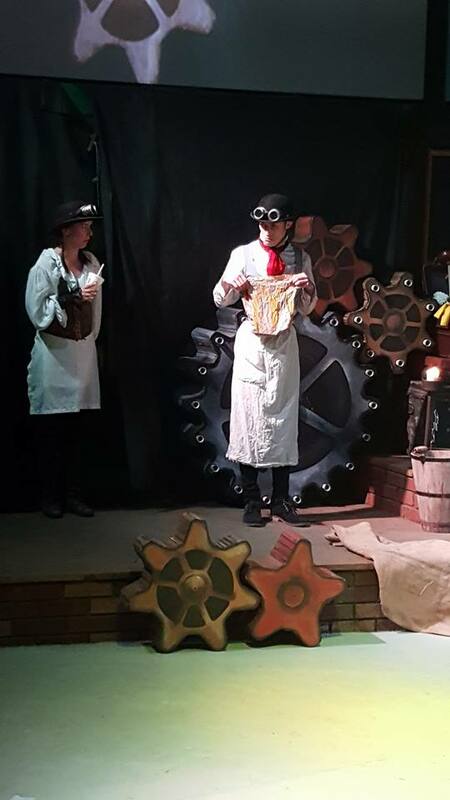 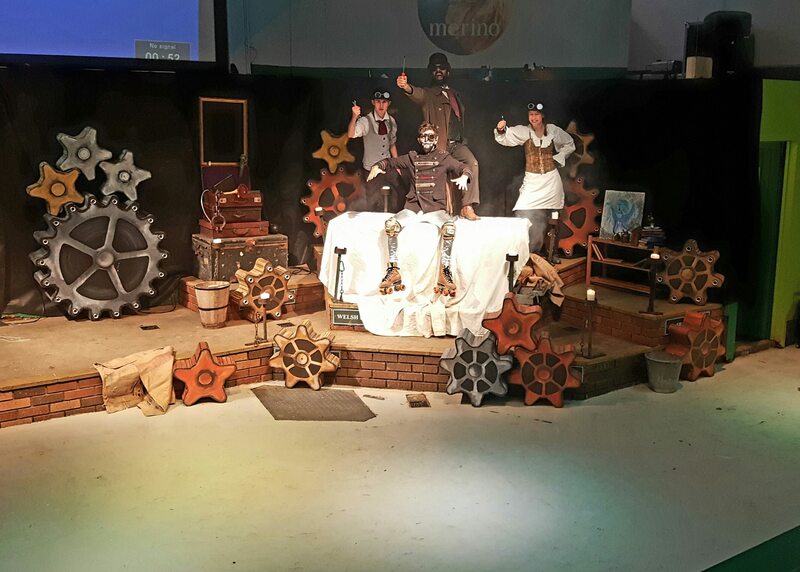 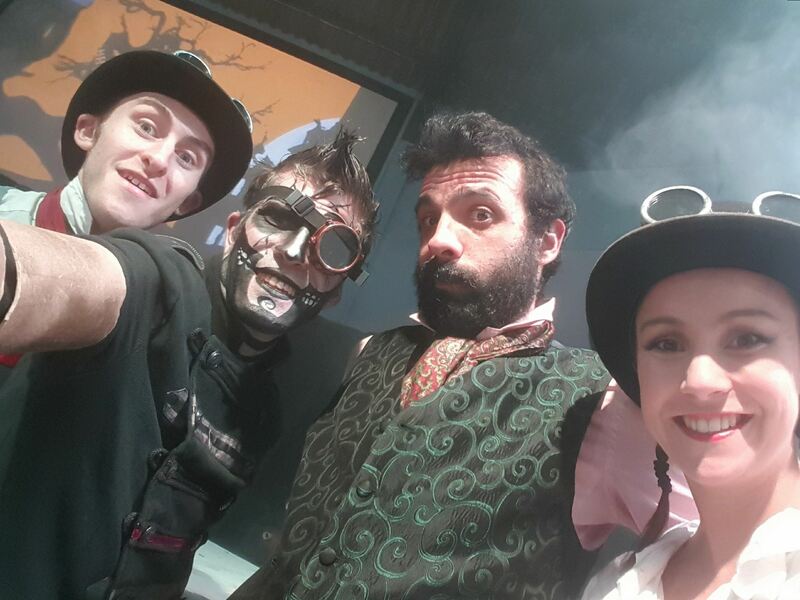 Professor Twankenstein and his (unpaid) interns were on the hunt for an escaped clockwork robot. 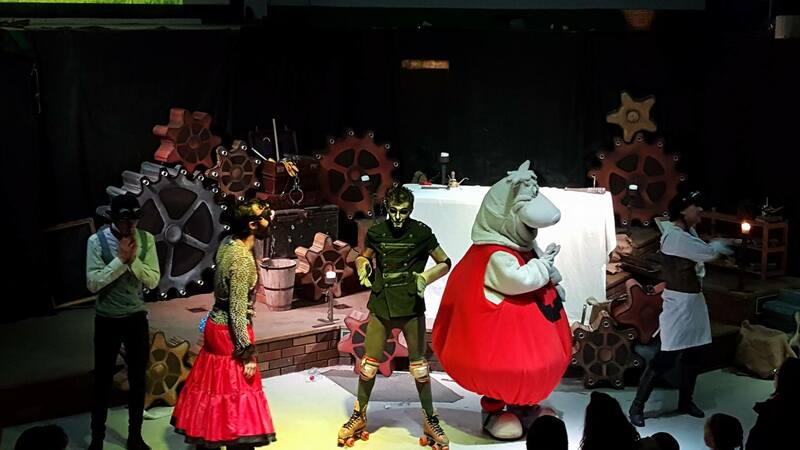 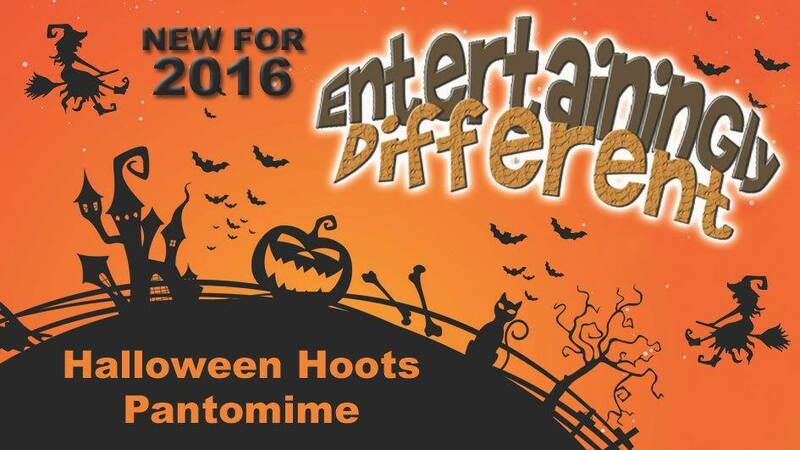 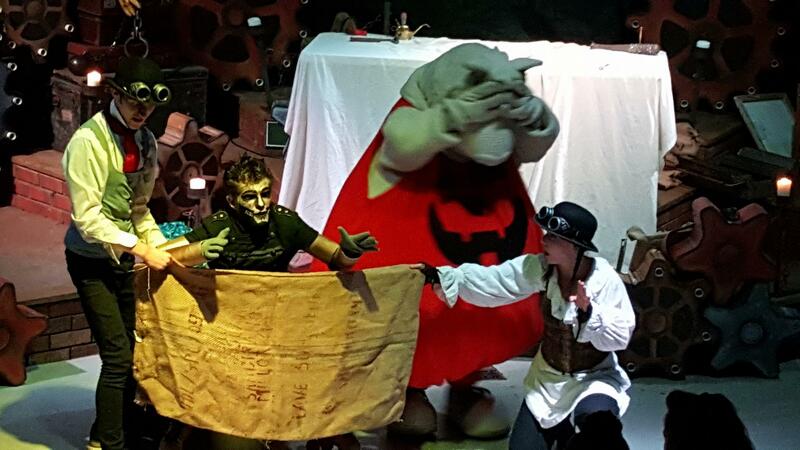 Time was short but songs, slapstick, silliness and surprises were a plenty in this Spooktacular show. 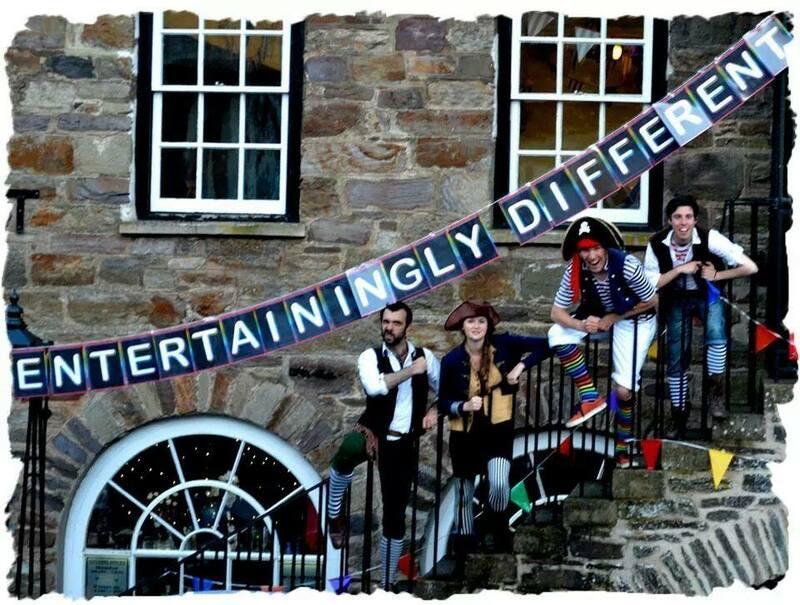 The Phantomime was performed twice daily from Monday 24th until Friday 28th October at 5:30pm and 6:30pm. 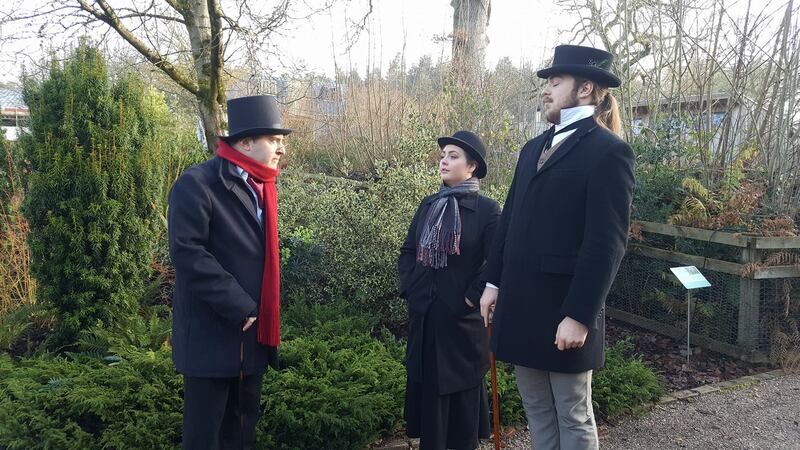 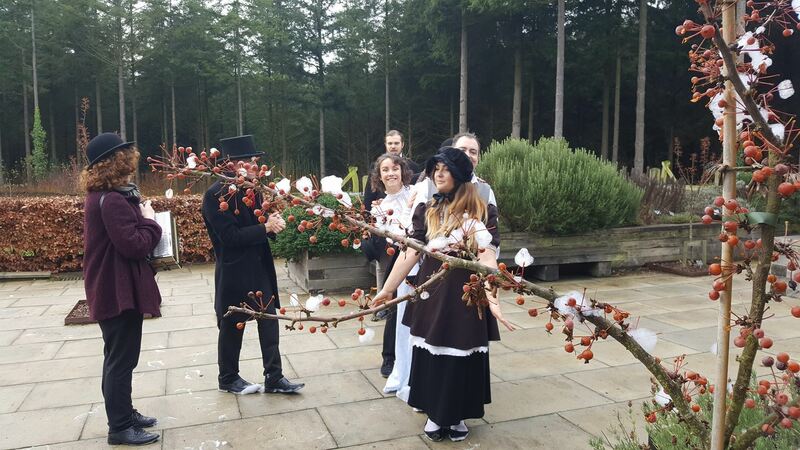 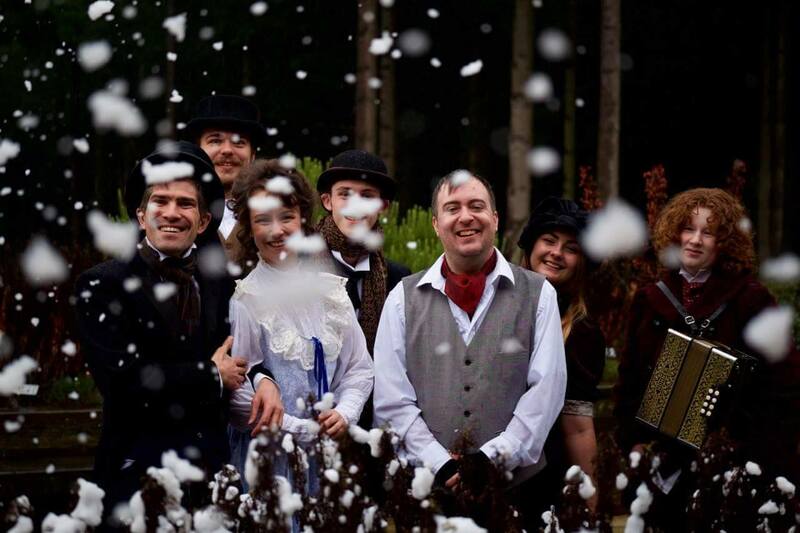 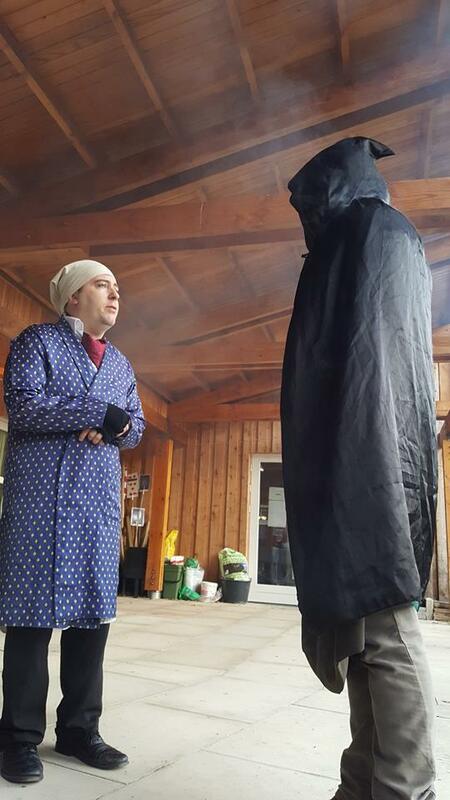 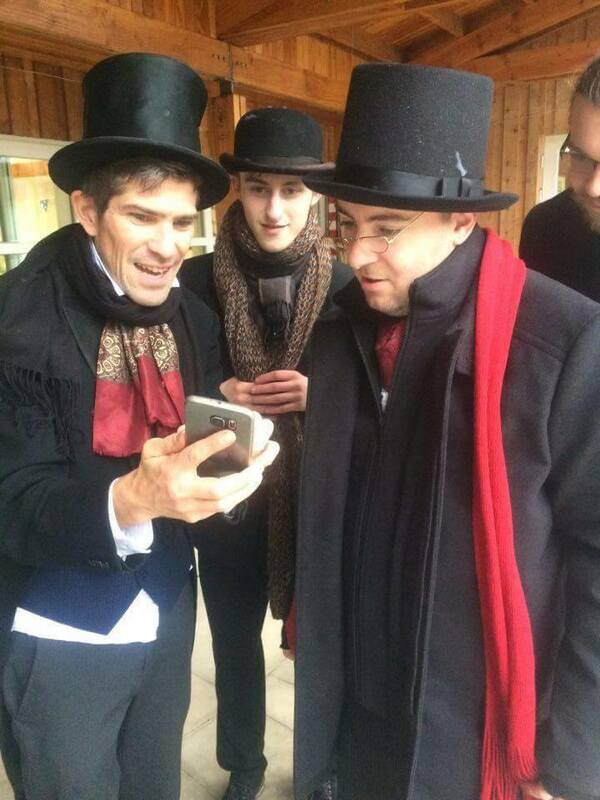 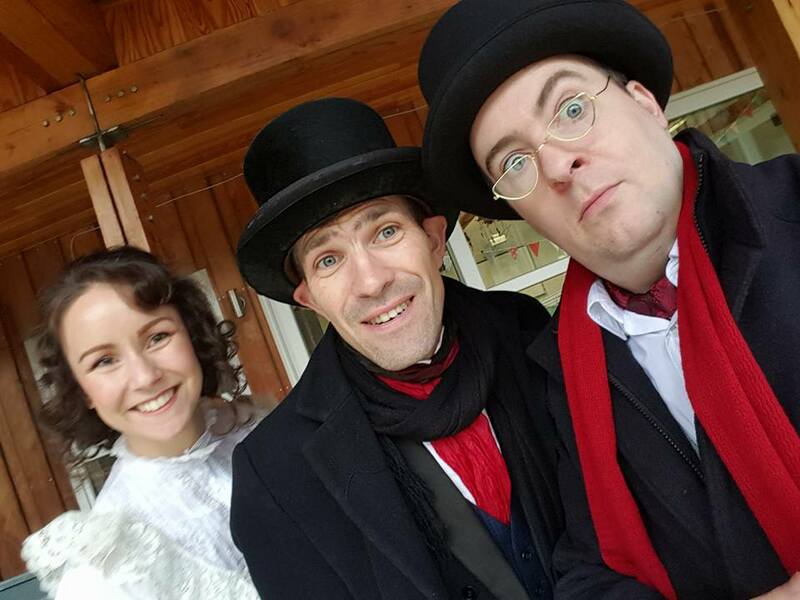 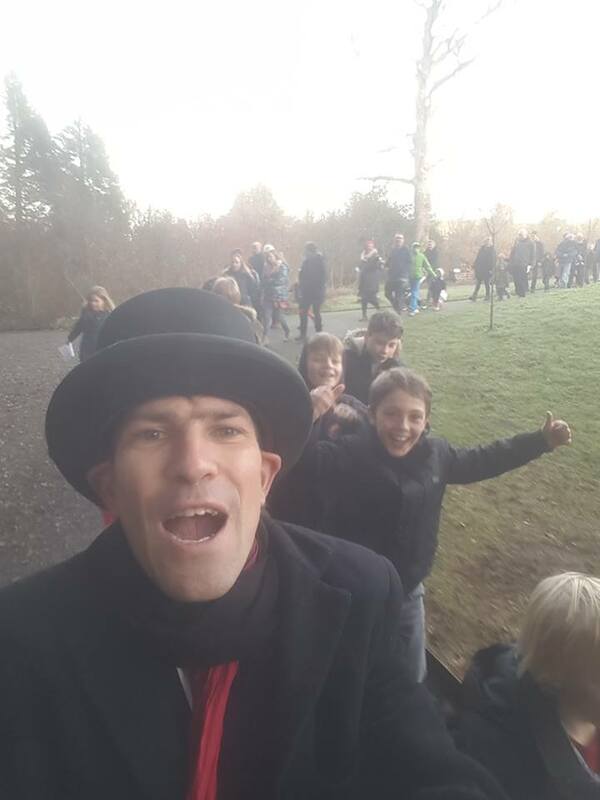 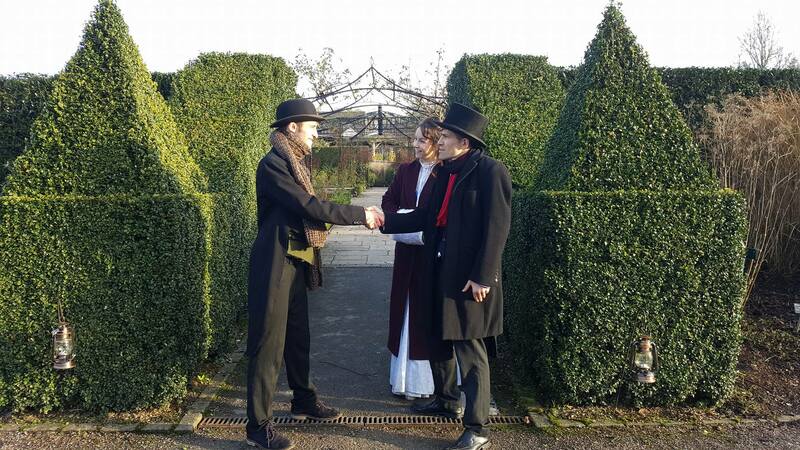 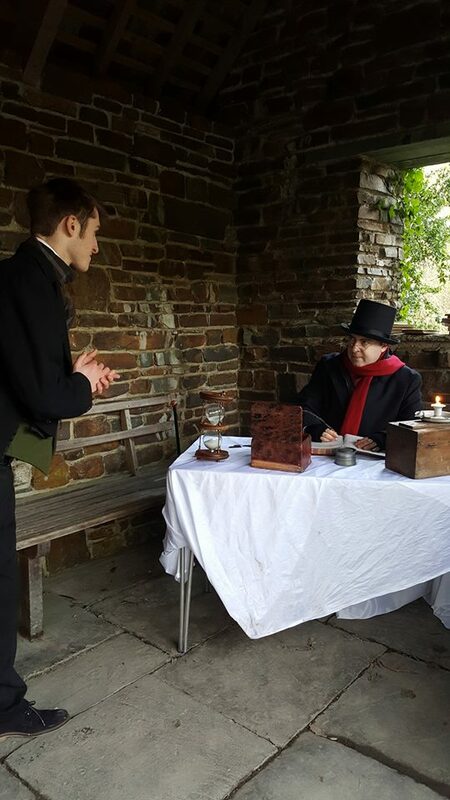 A wonderfully immersive story trail loosley based upon the classic ‘A Christmas Carol’ by Charles Dickens, but with an Entertainingly Different twist. 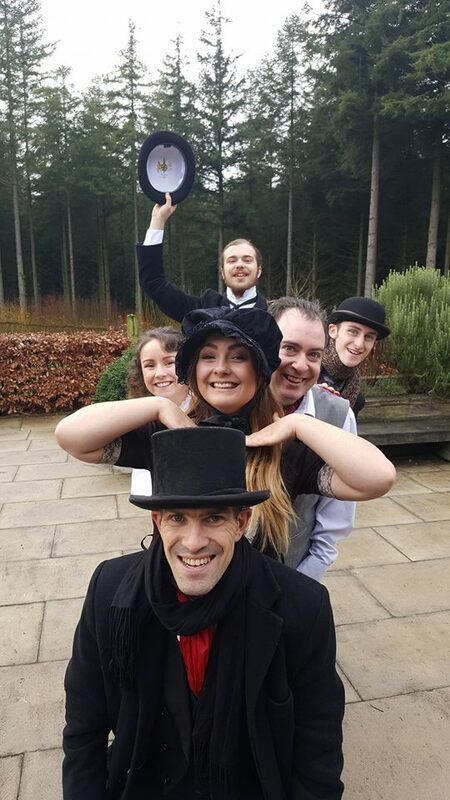 The performances delighted audiences at RHS Garden Rosemoor in Christmas 2016. 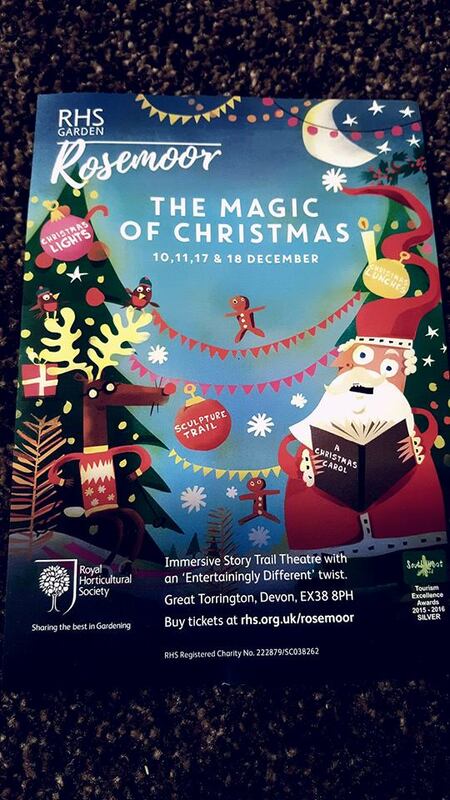 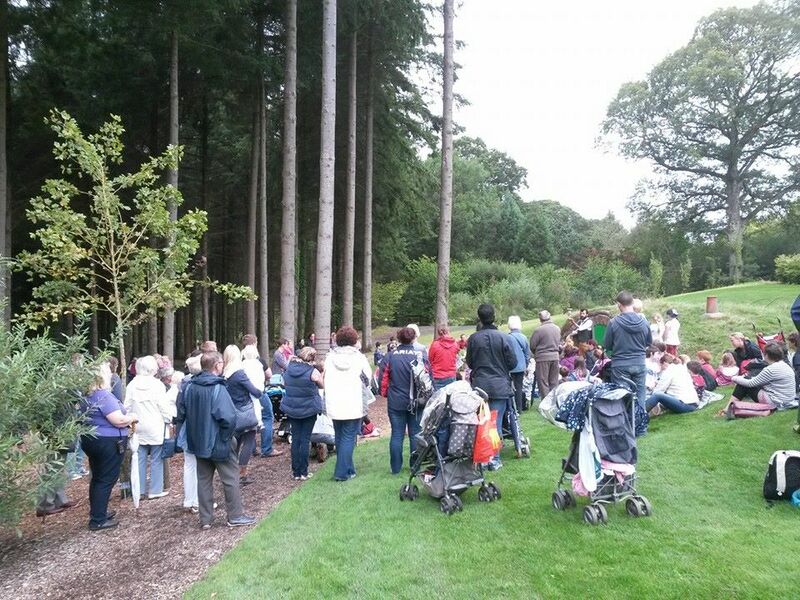 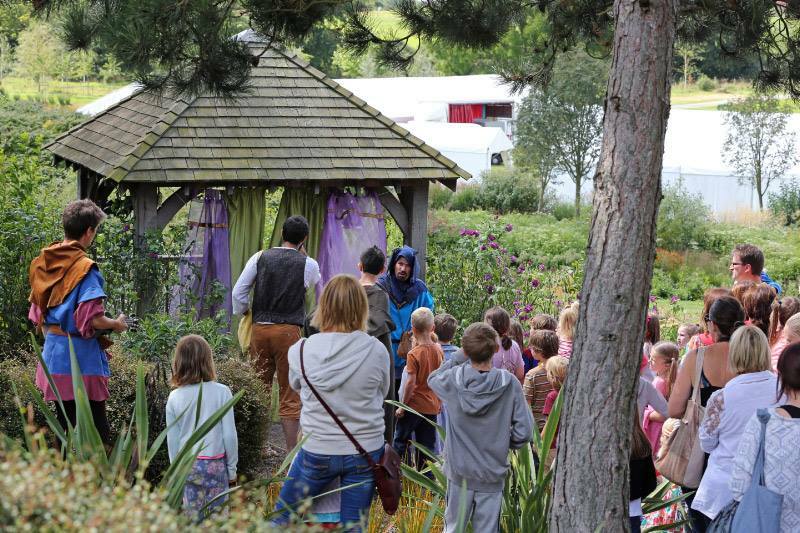 Entertainingly Different were commissioned to create a piece of interactive family theatre especially for the RHS Gardens. 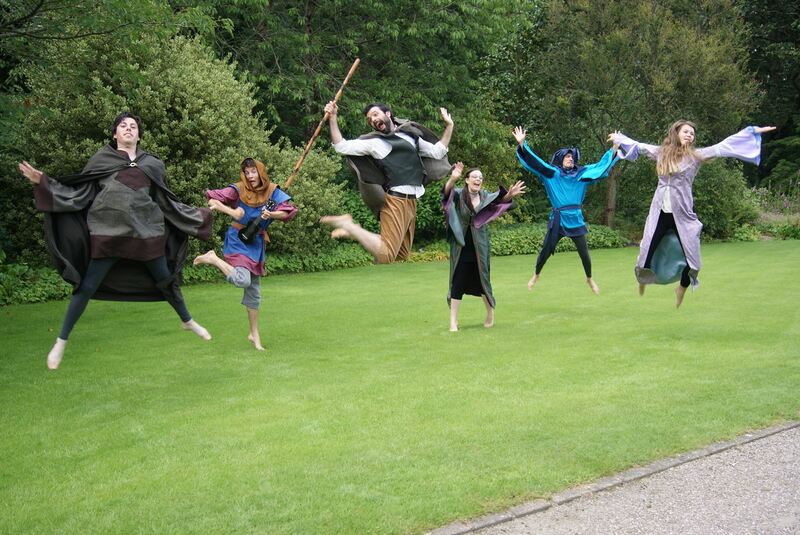 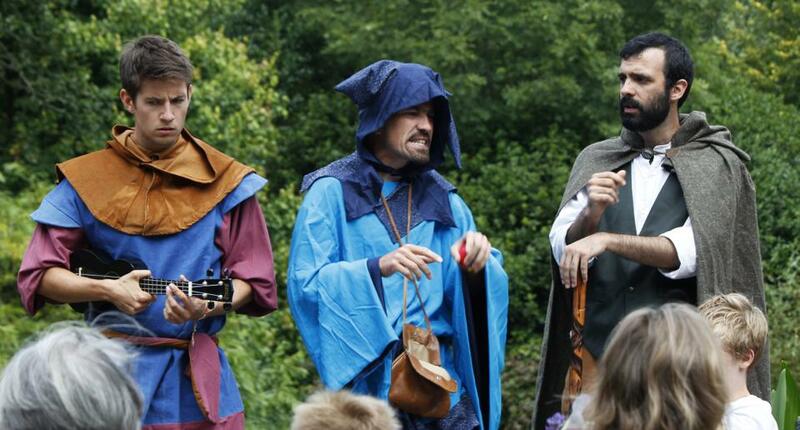 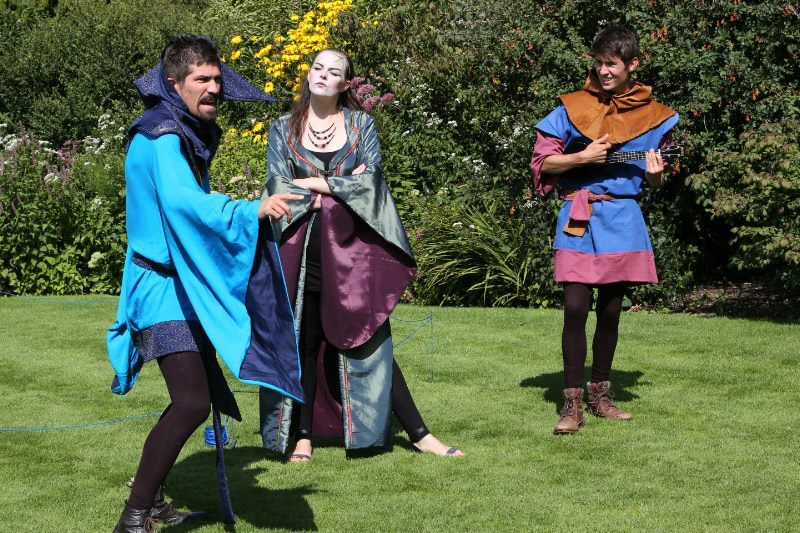 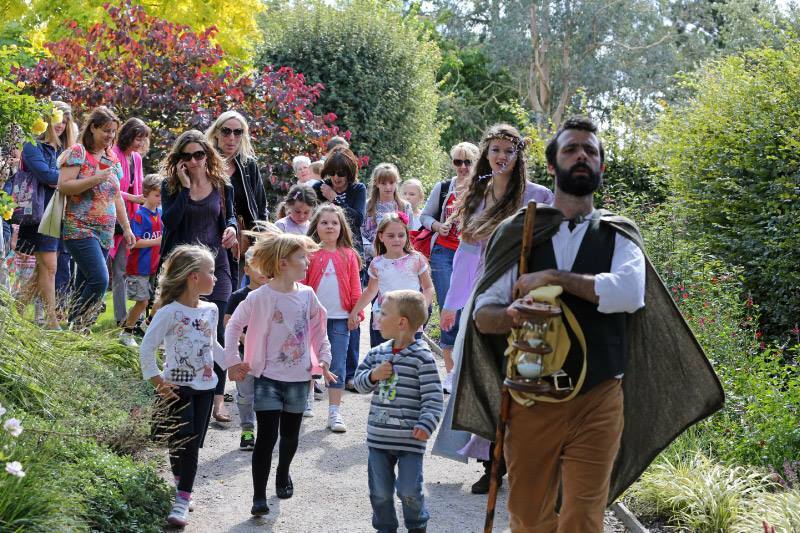 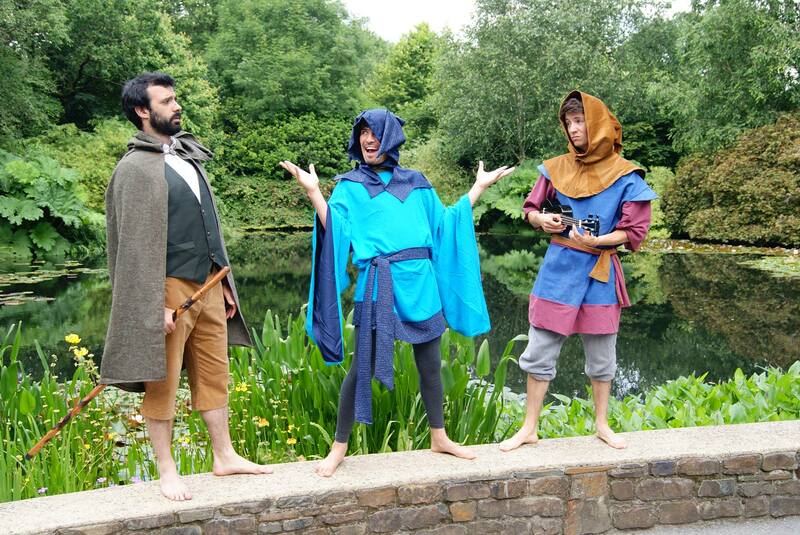 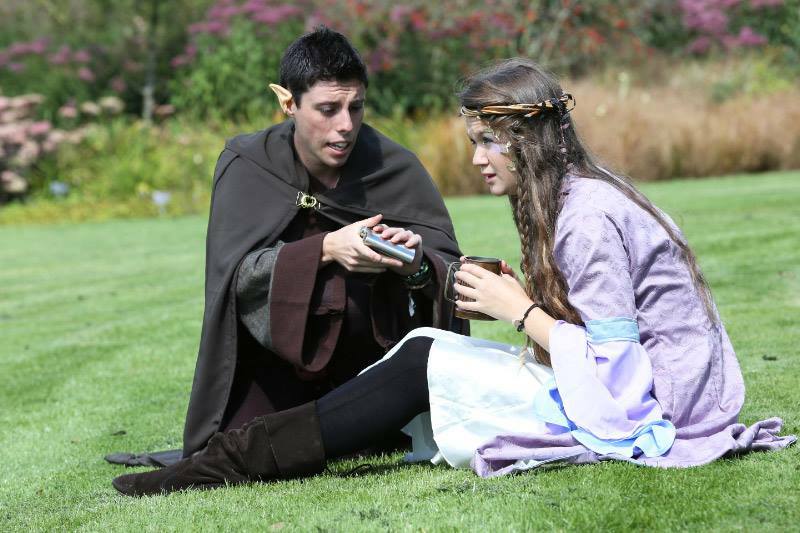 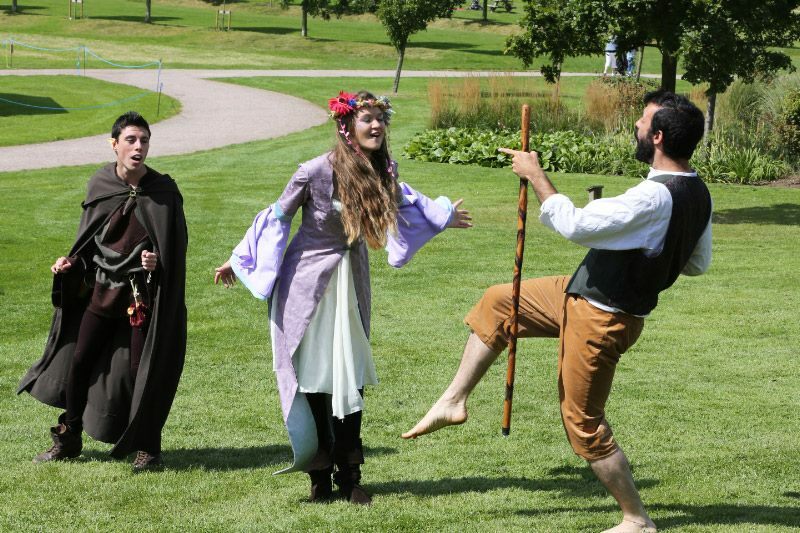 In August 2014. we took ‘The Quest’ on tour to Hyde Hall in Essex, Harlow Carr in Harrogate North Yorkshire, Wisley in Surrey then back home to do our final performance back in RHS Garden Rosemoor in Torrington. 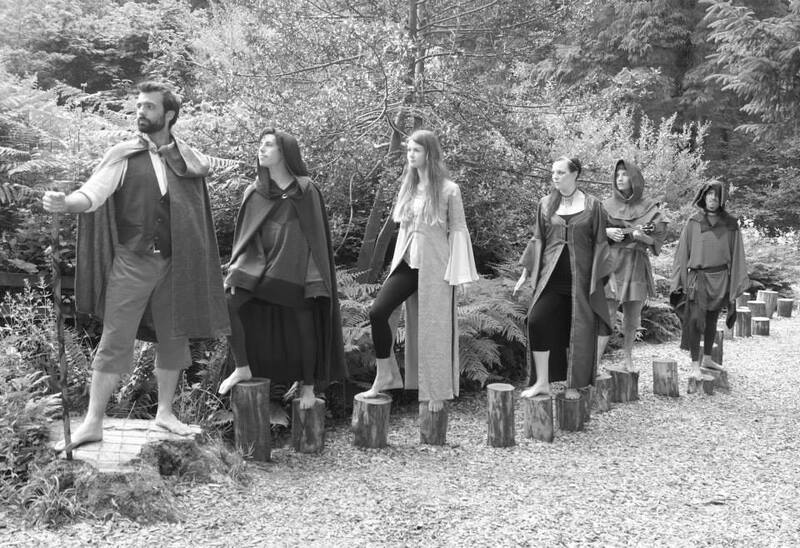 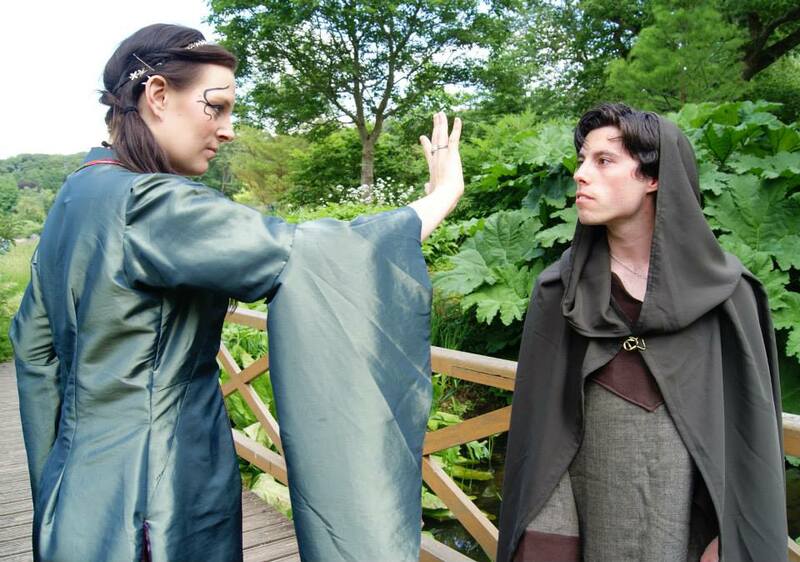 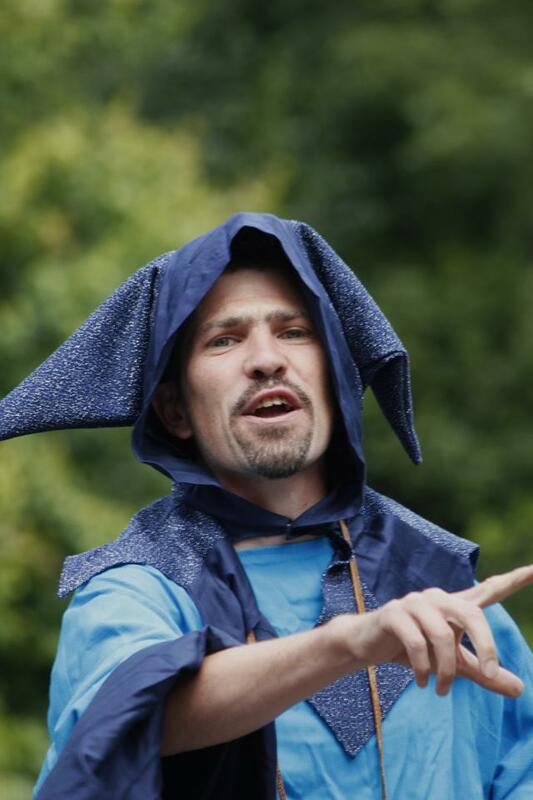 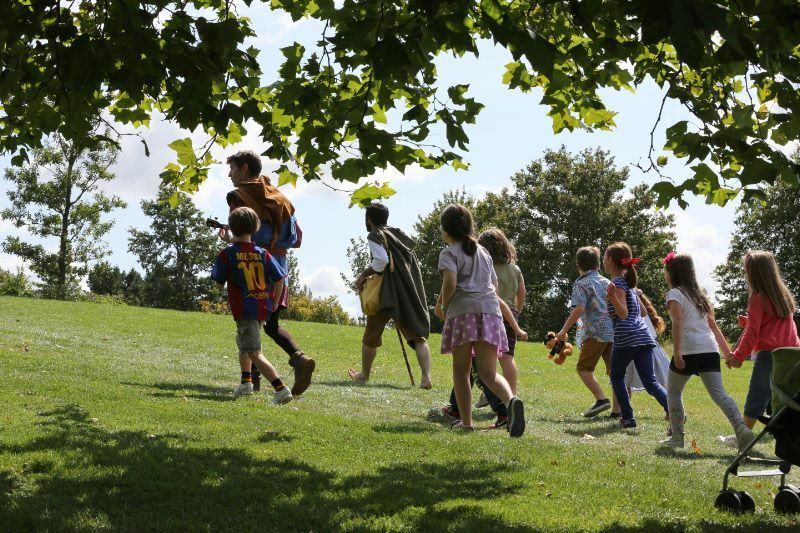 ‘The Quest’ is an interactive, family-friendly promenade performance where the audience members come face to face with a host of enchanting characters who guide them through this mystical quest. 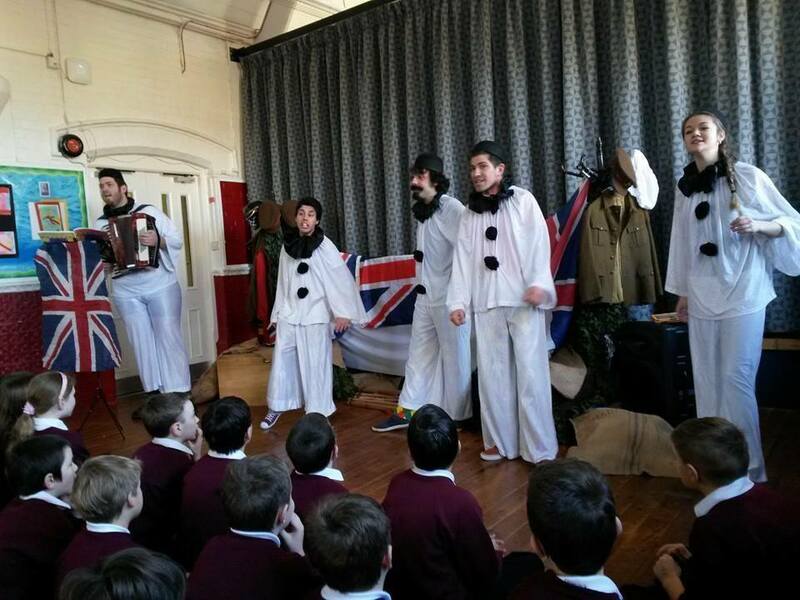 To mark the centenary of the start of World War One, Entertainingly Different put together a performance piece primarily for schools. 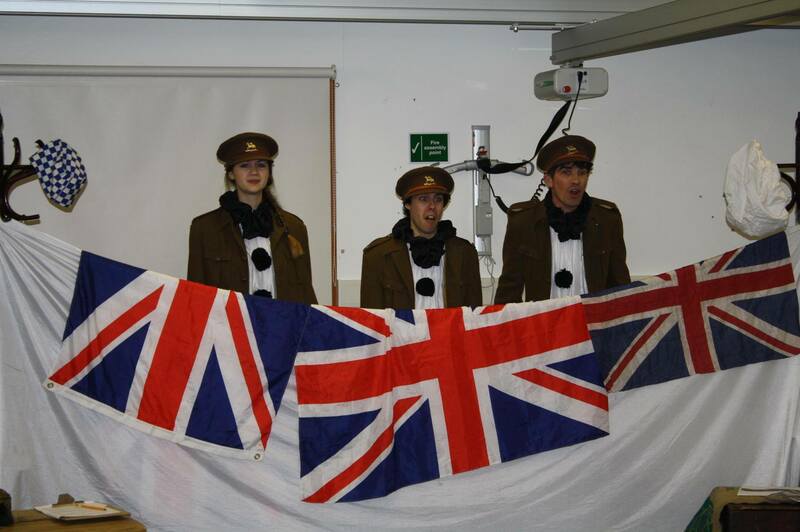 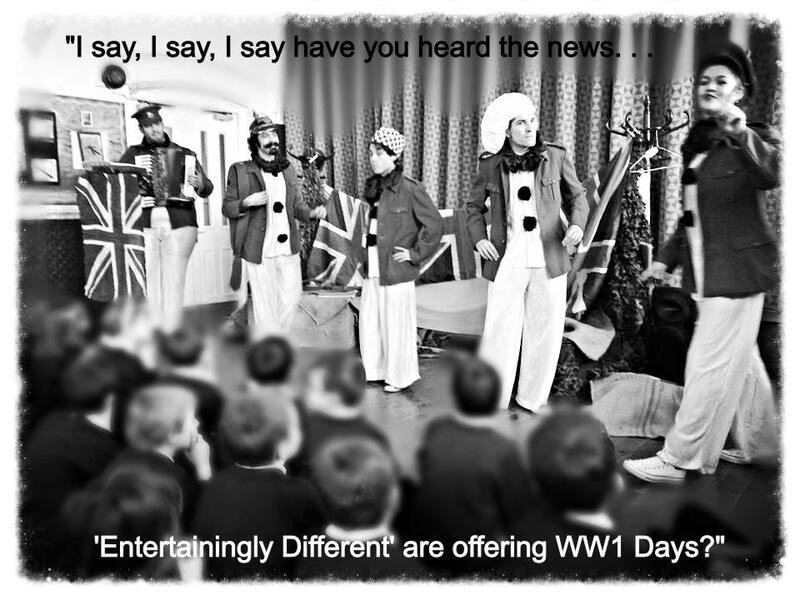 The show can stand alone, or be one element of the World War One Experience Day where the performance is followed by four specially composed workshops in drama, tea-dancing, slapstick comedy and singing. 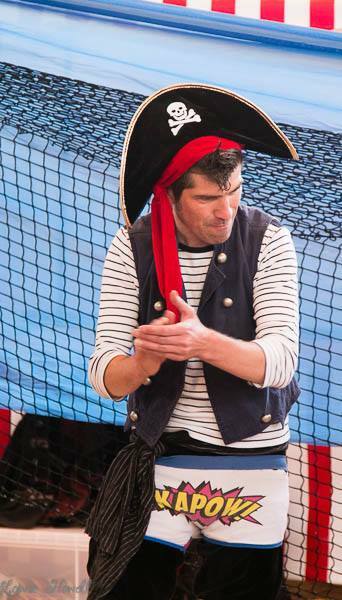 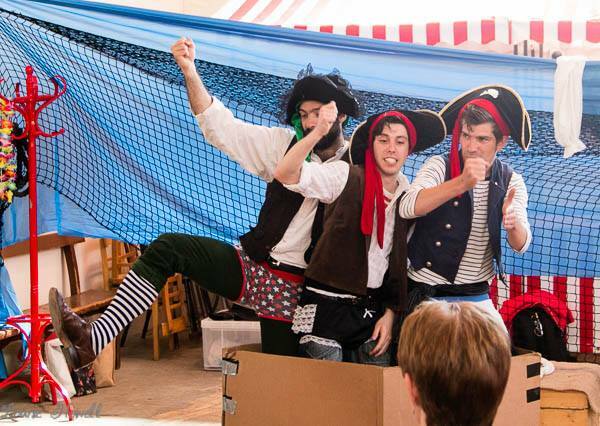 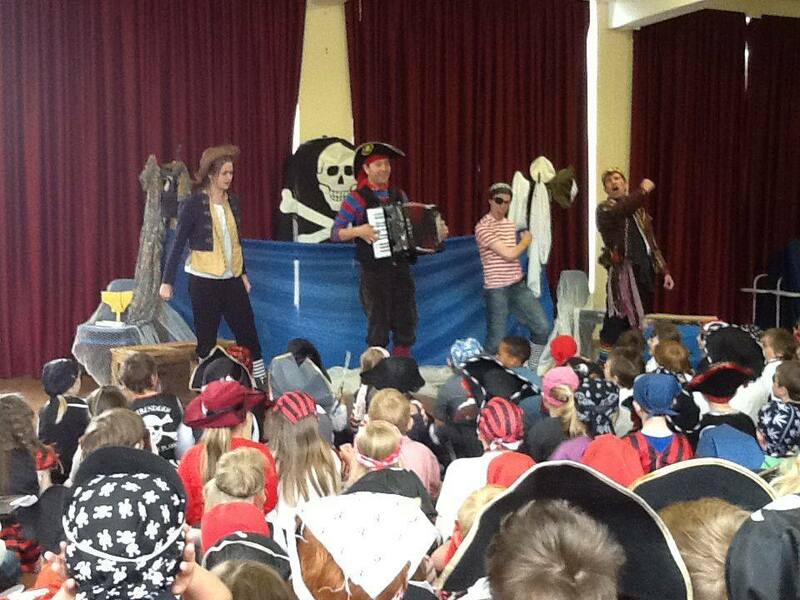 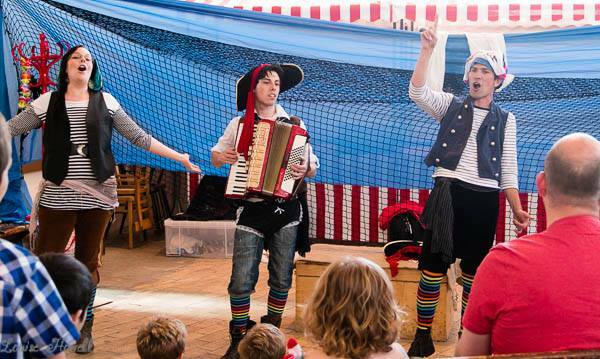 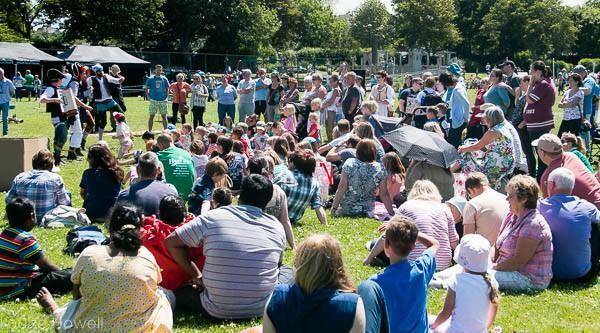 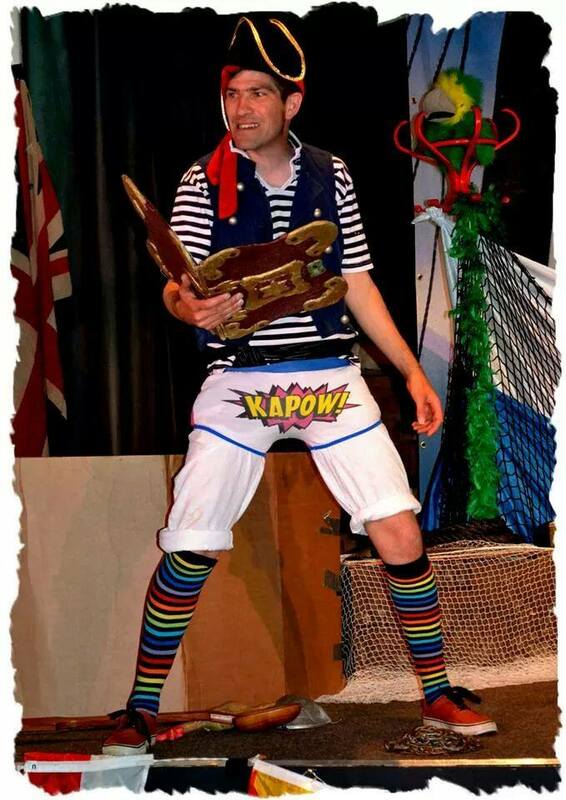 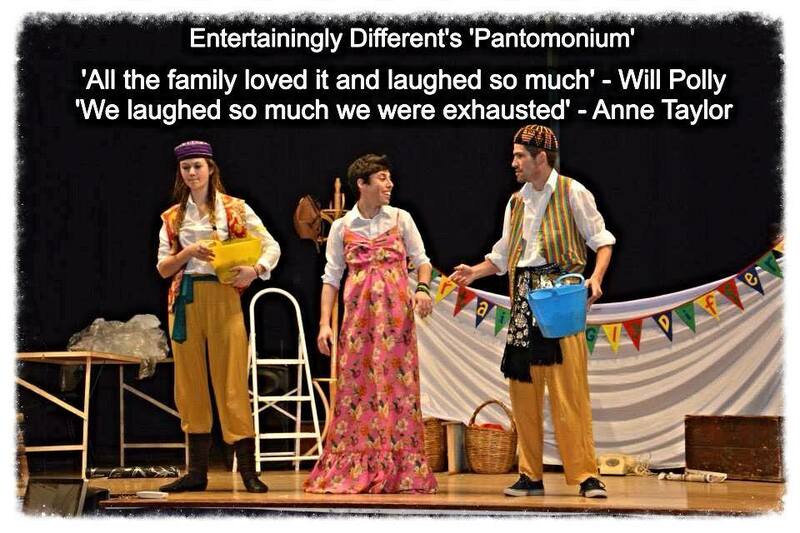 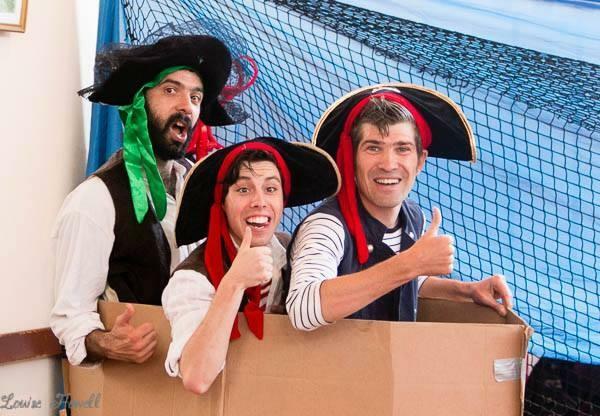 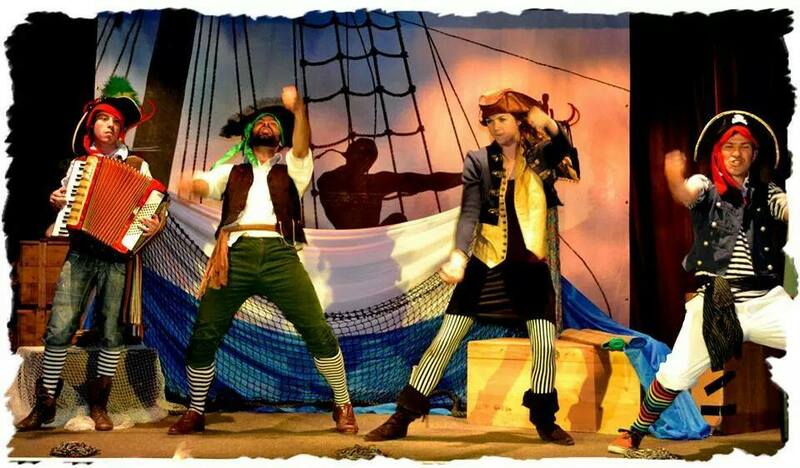 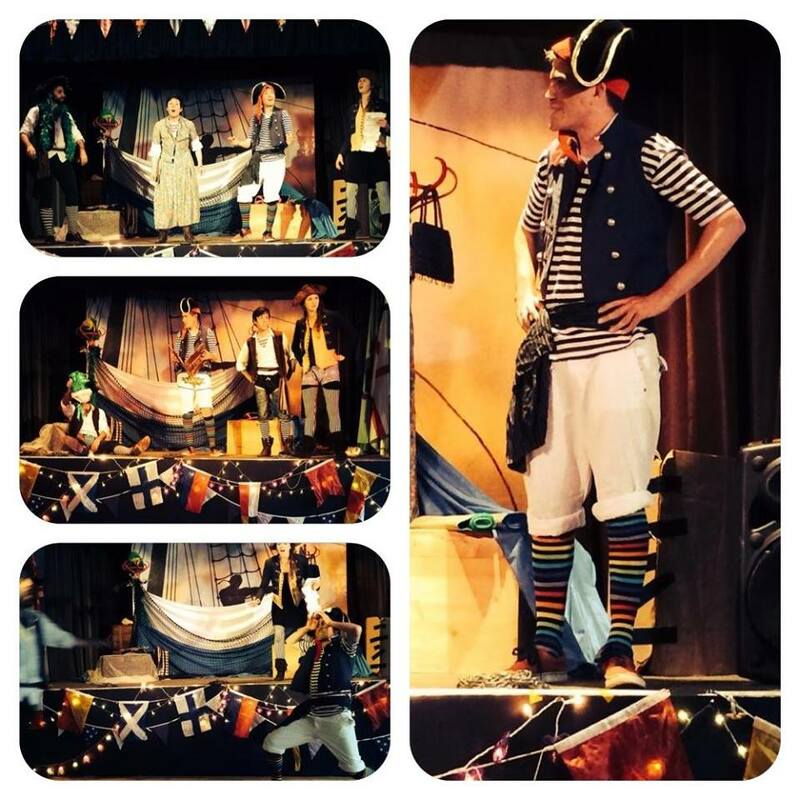 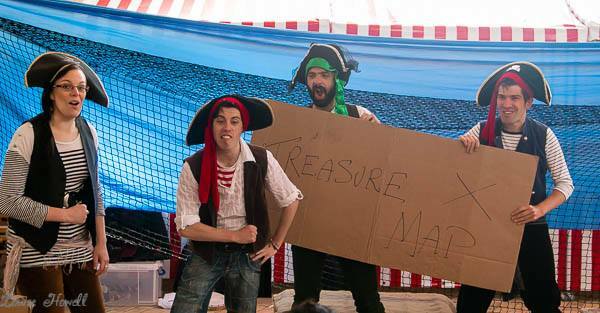 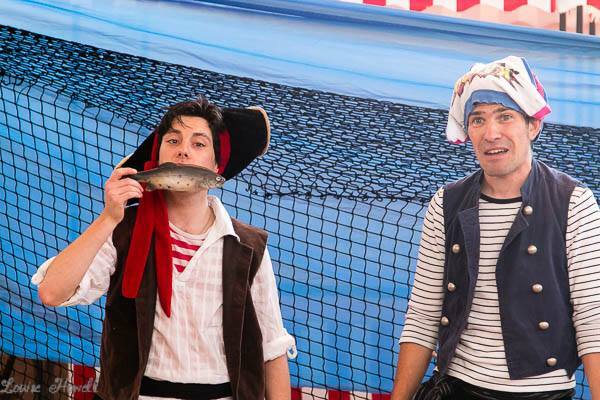 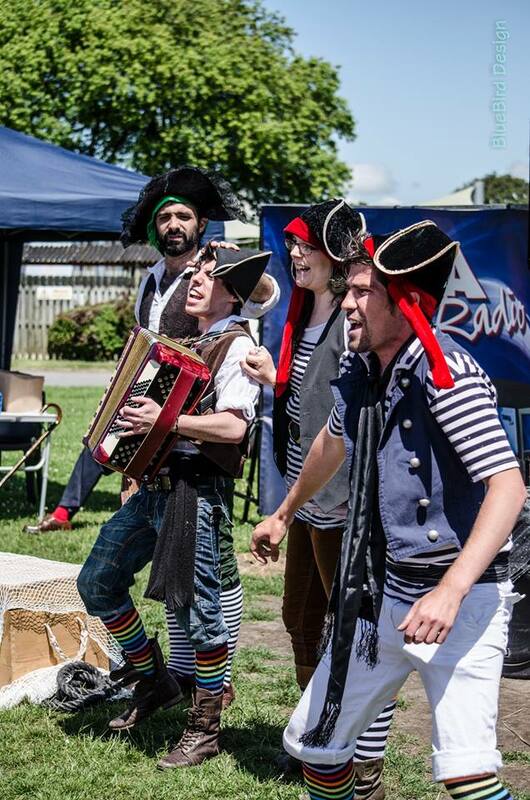 Our family-friendly Pirate shows are jam-packed with swashbuckling songs, stories, slapstick and silliness. 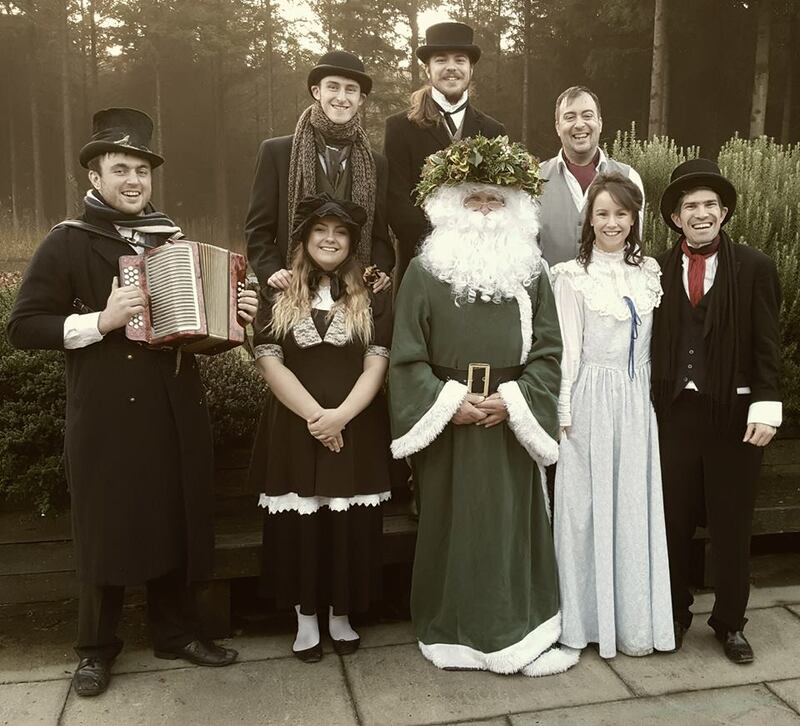 The crazy crew promise to leave both the young and young at heart with a smile on their face, a spring in their step and tunes they will be humming for weeks! 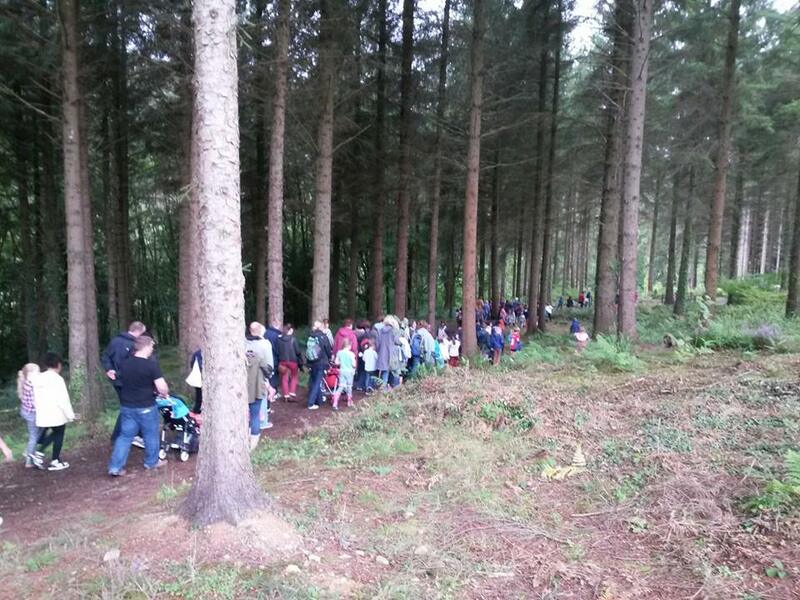 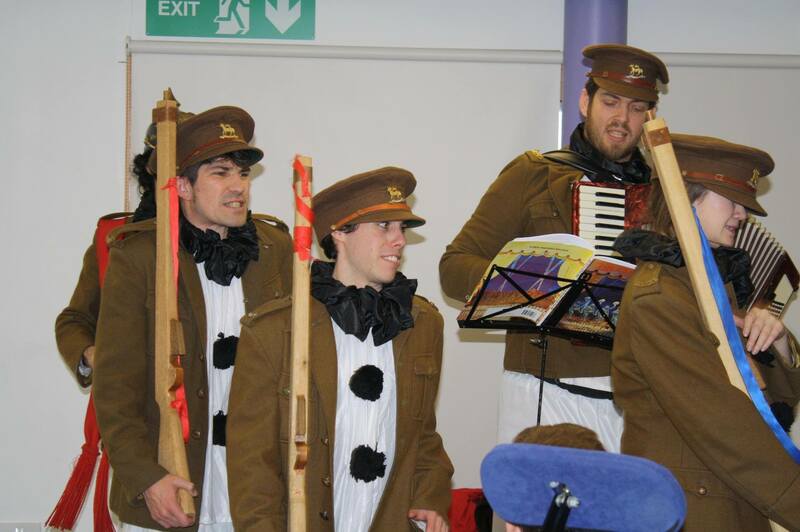 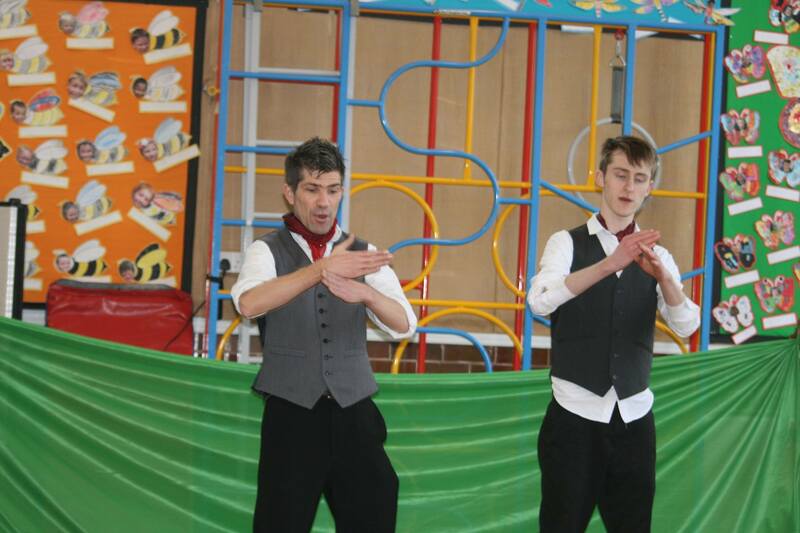 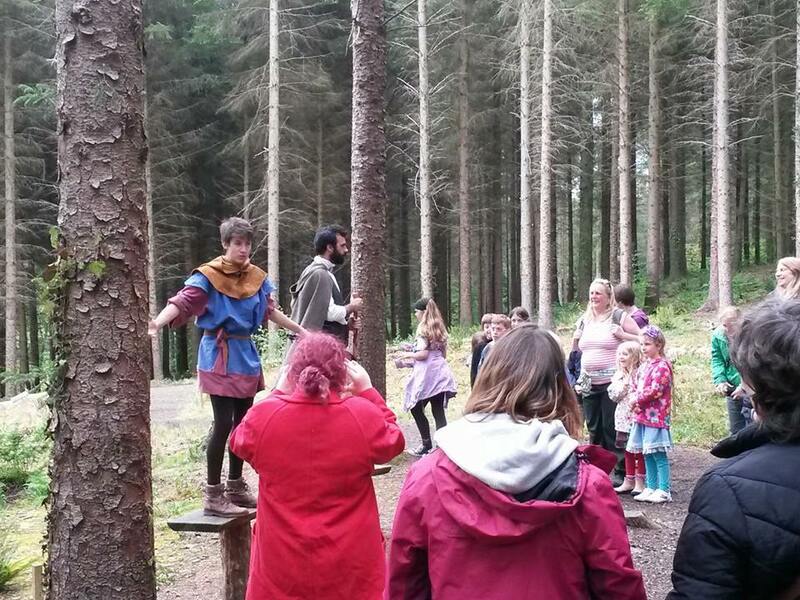 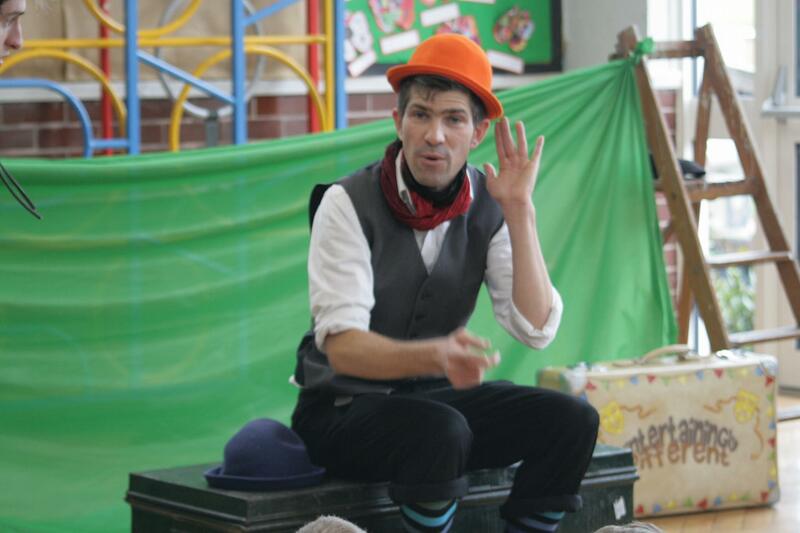 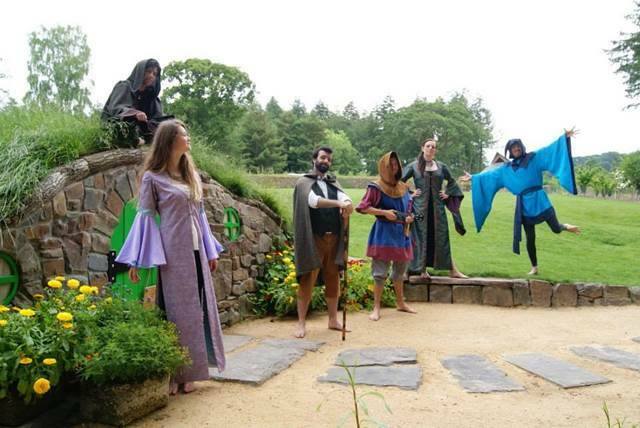 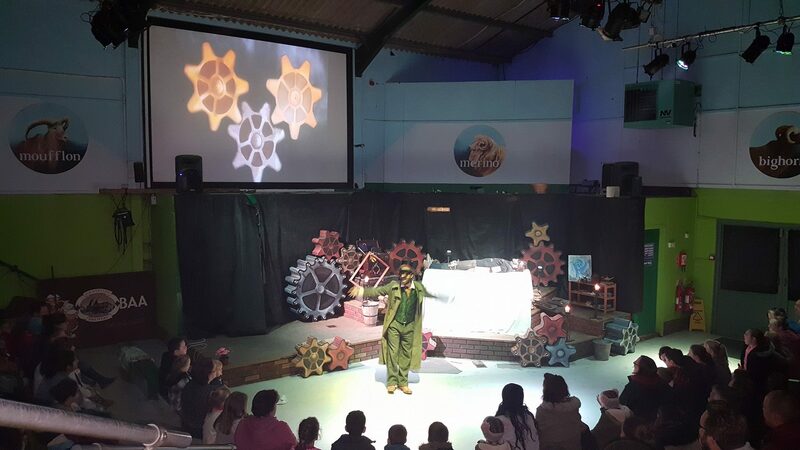 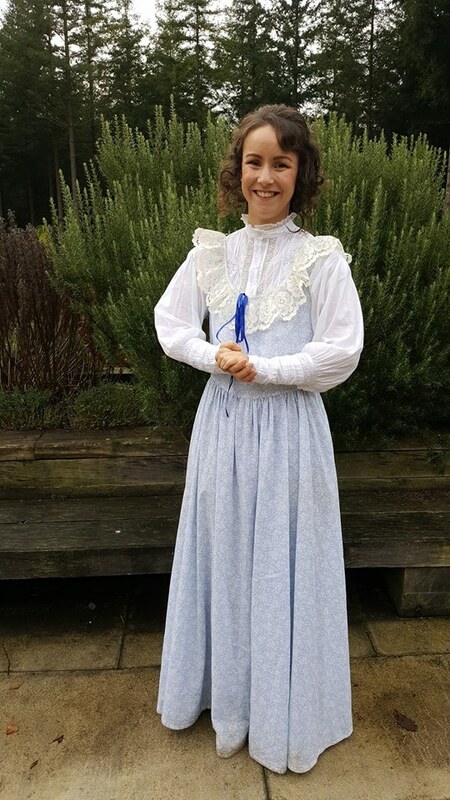 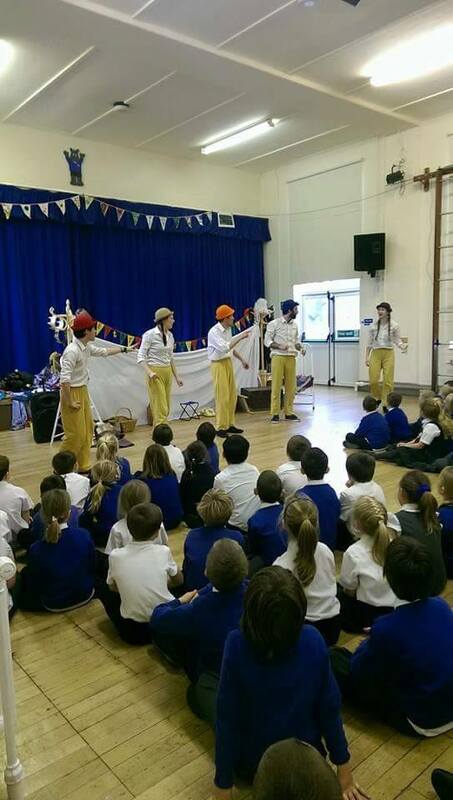 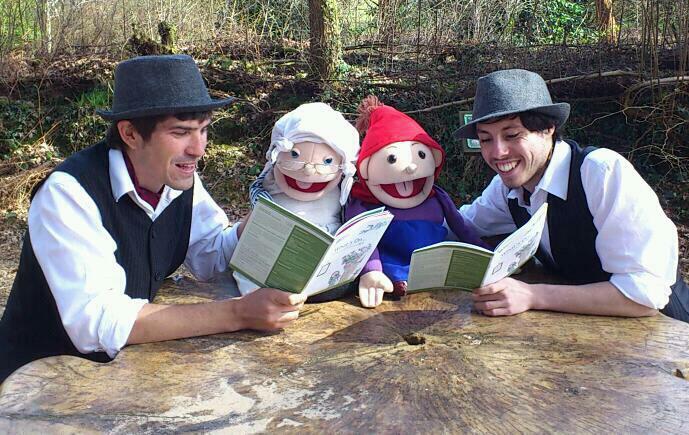 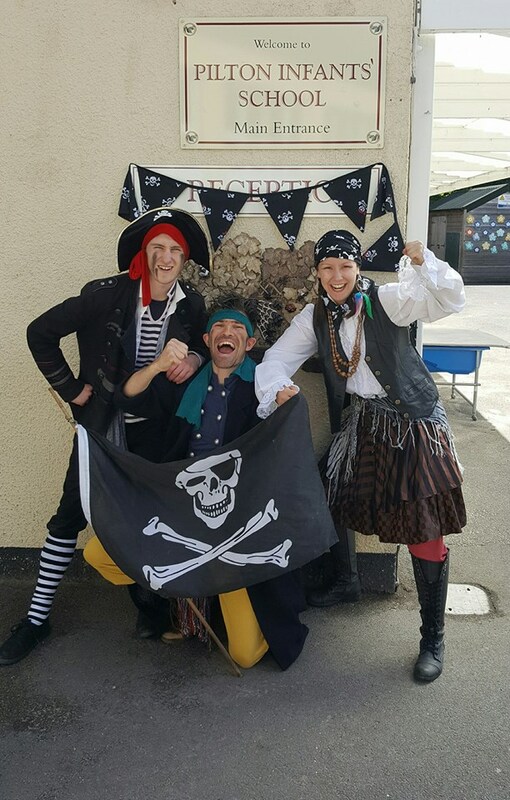 Schools across Devon have been echoing to the sound of laughing, cheering, clapping and singing as Entertainingly Different have delighted both pupils and staff alike with their Traditional Tales performances. 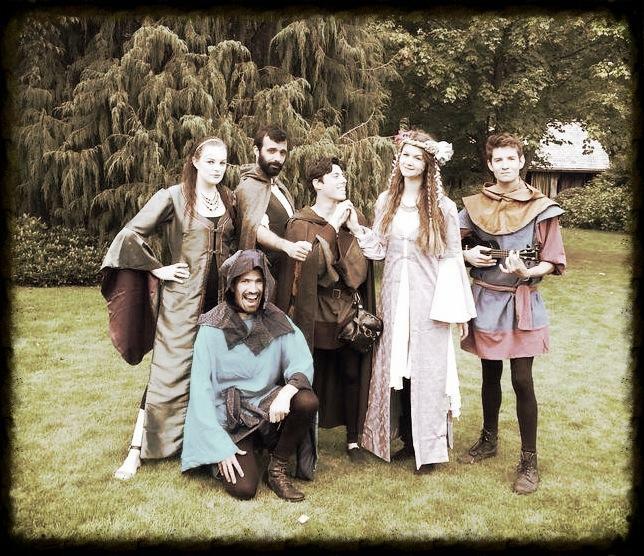 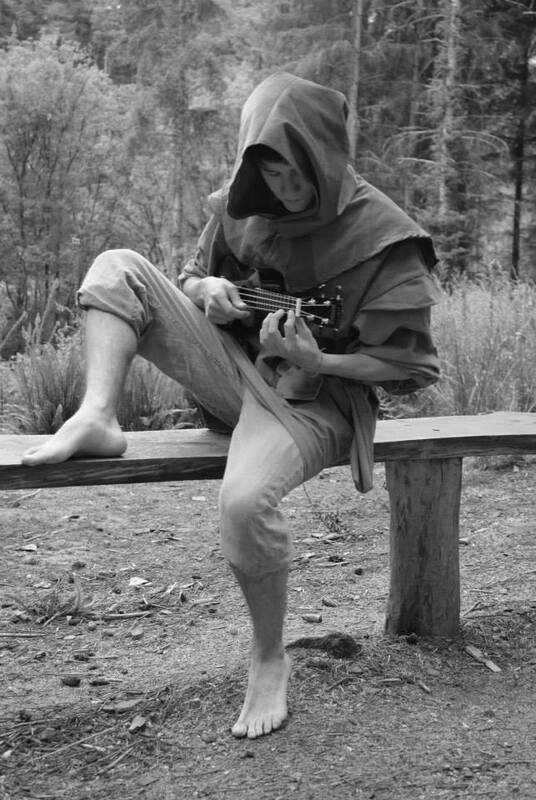 …and new tales are being developed all the time! 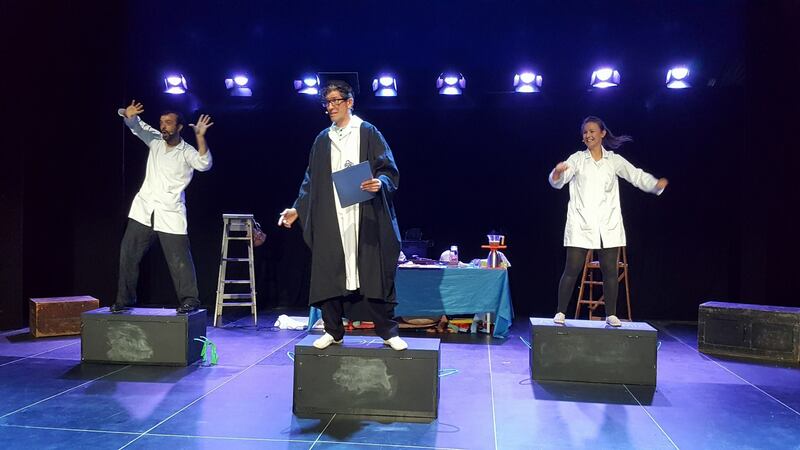 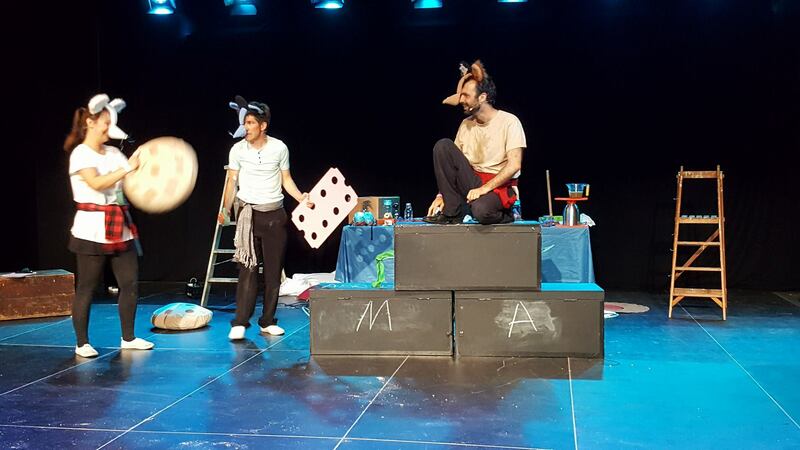 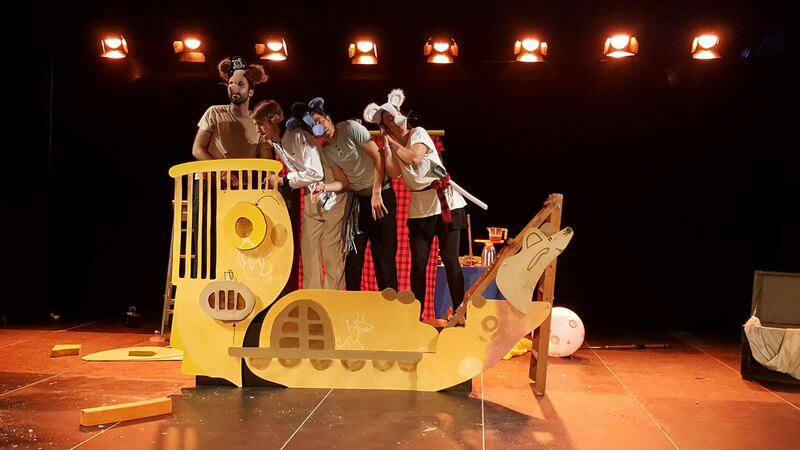 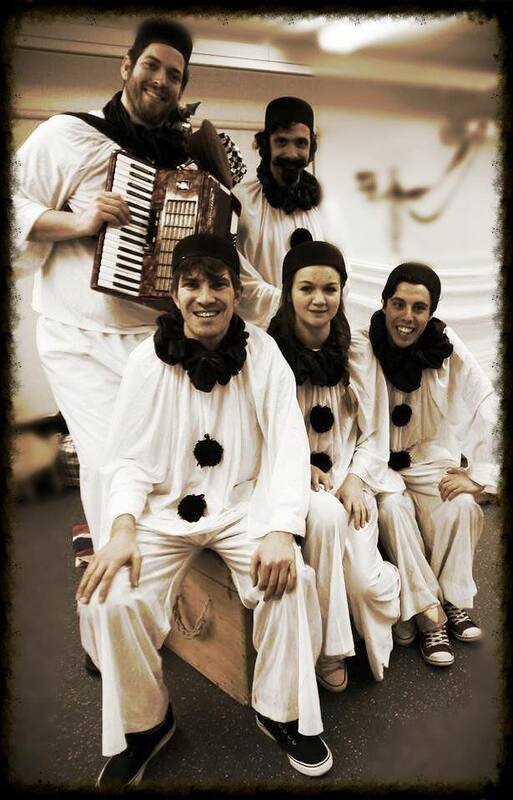 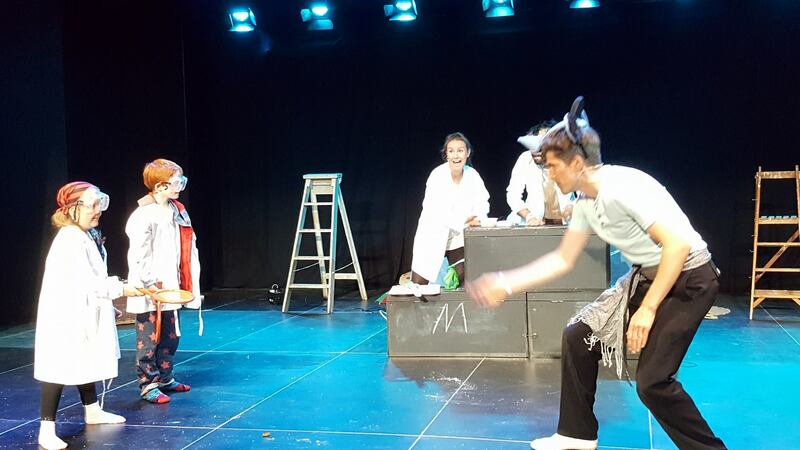 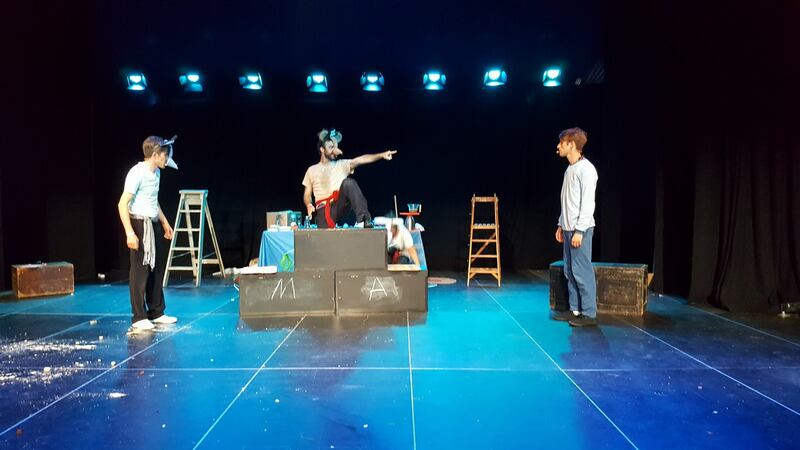 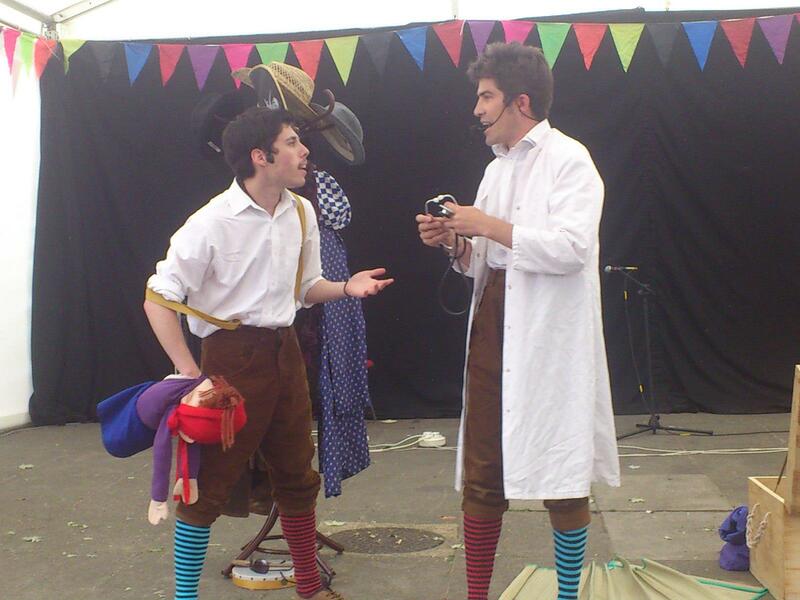 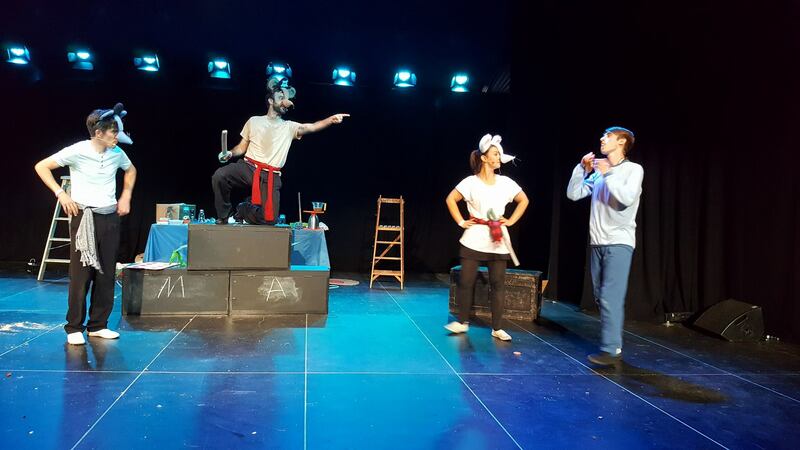 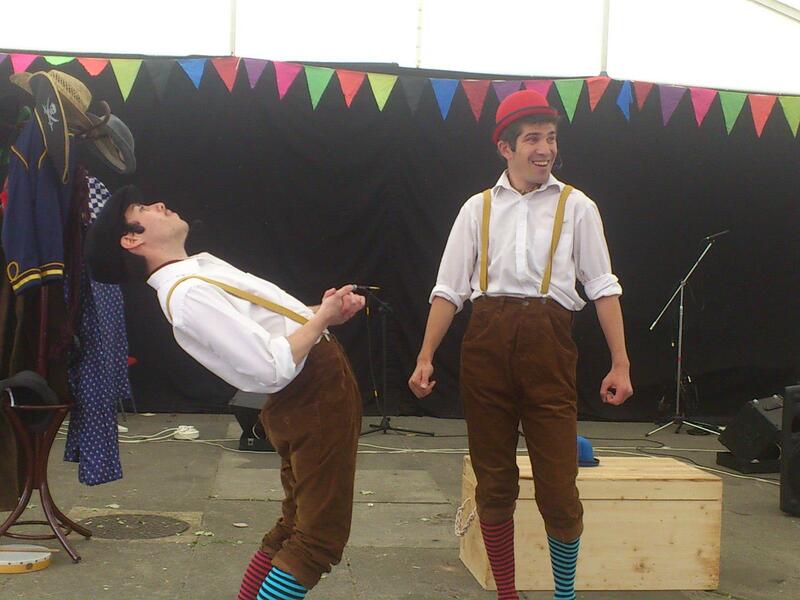 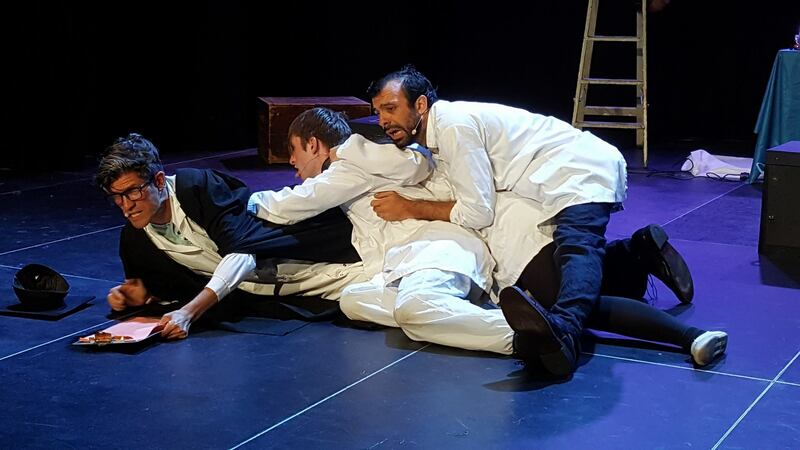 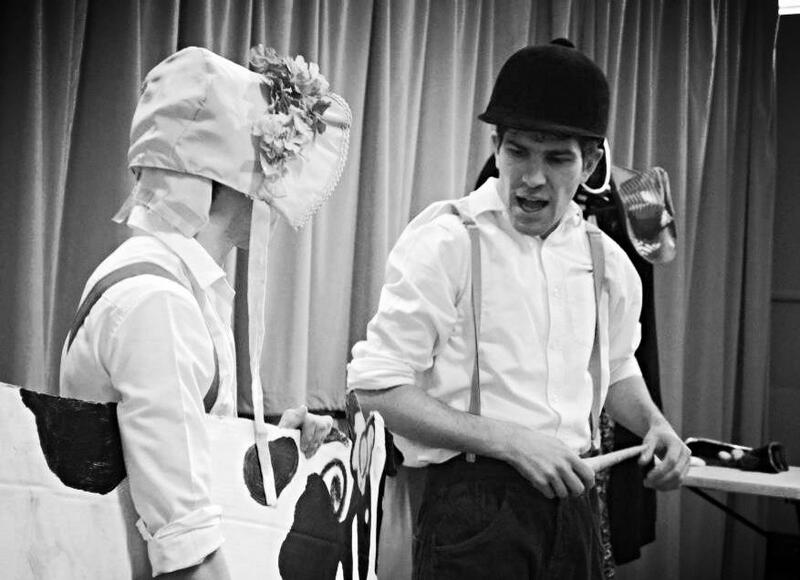 The performances combine storytelling, slapstick, song, dance and at times general silliness.